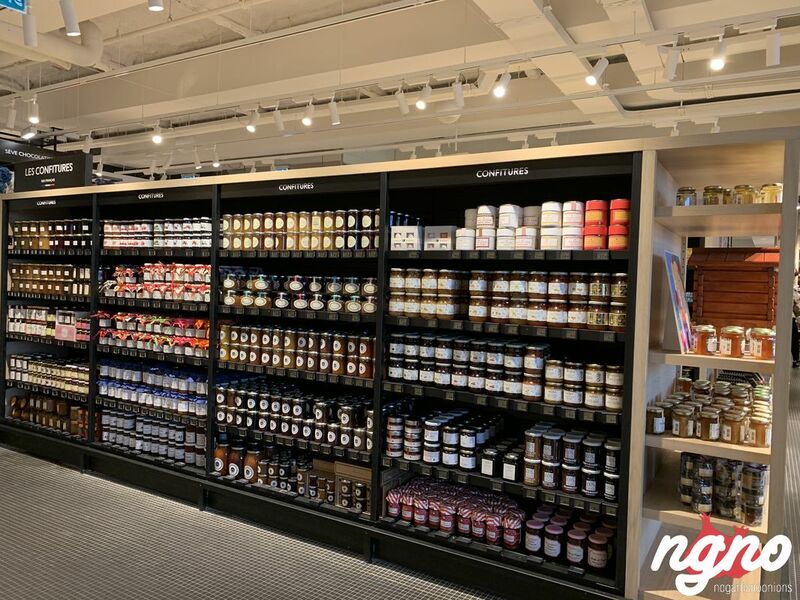 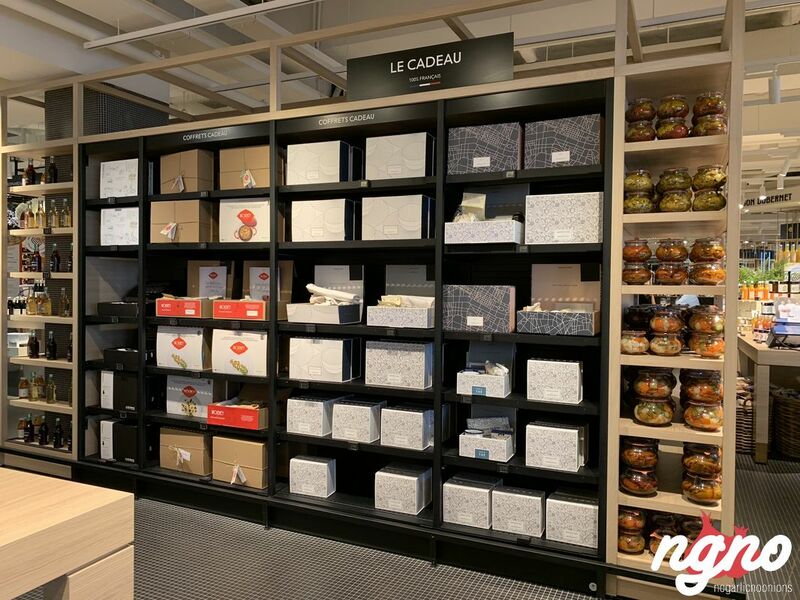 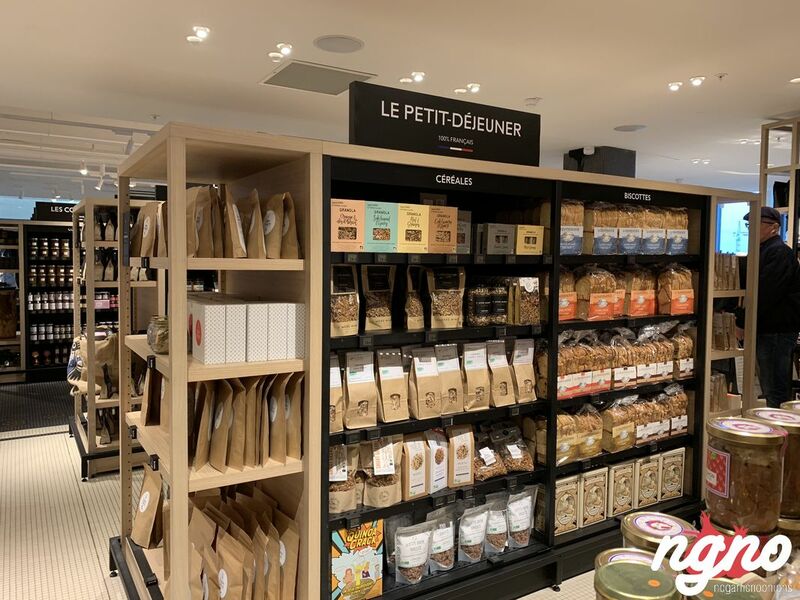 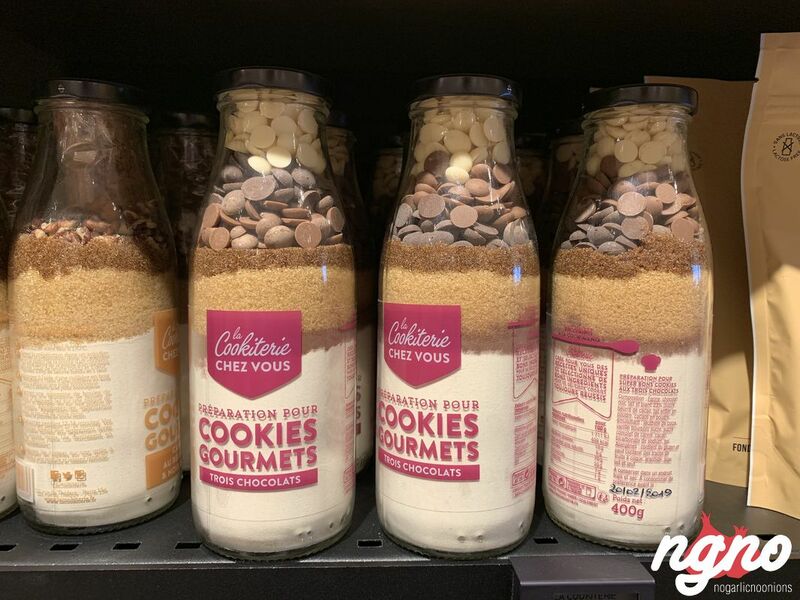 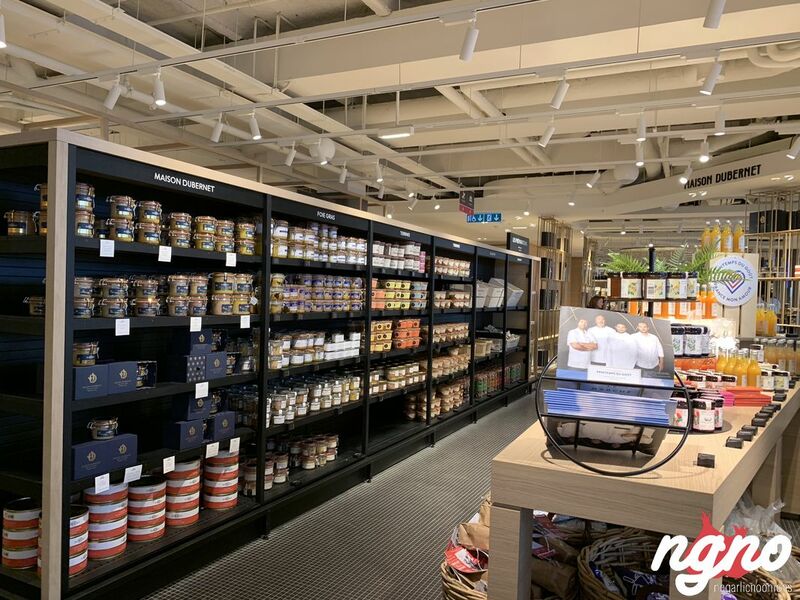 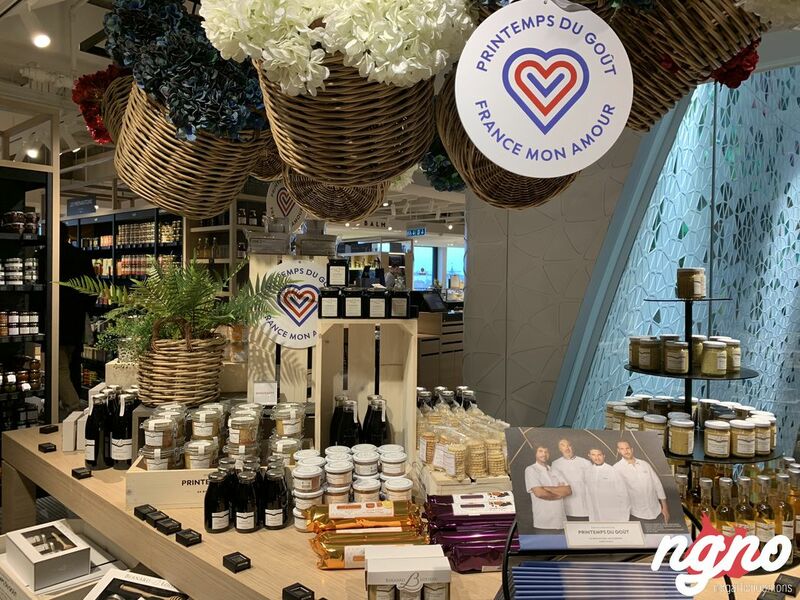 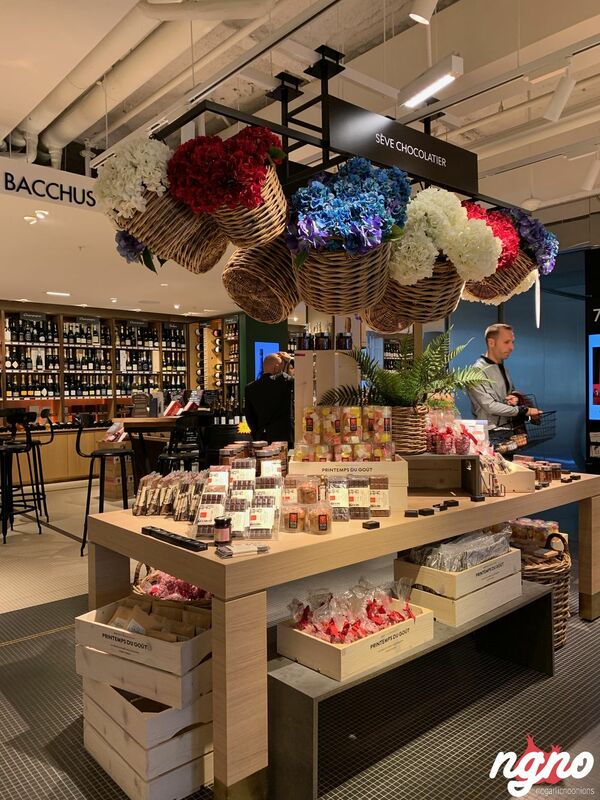 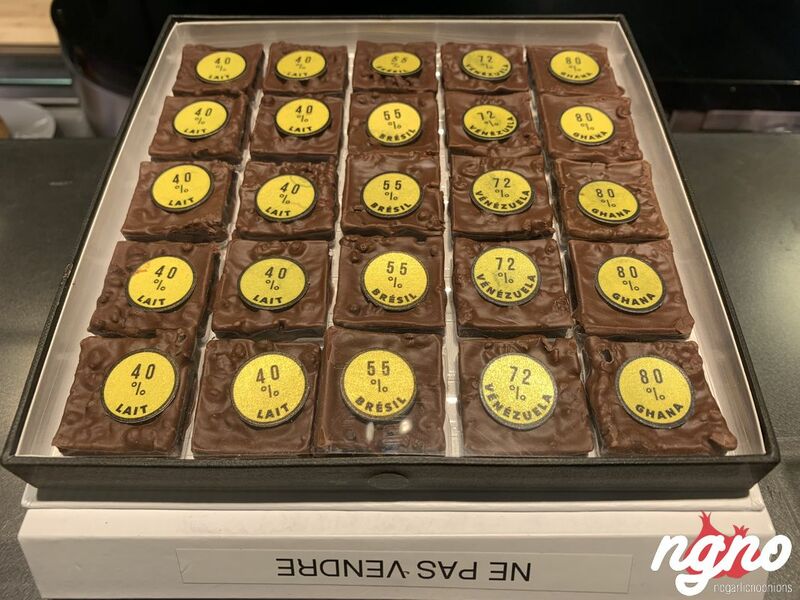 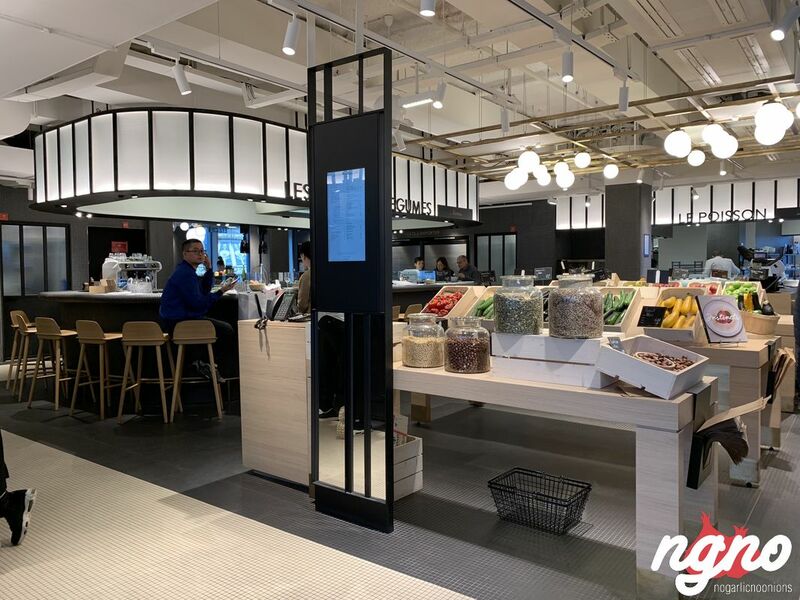 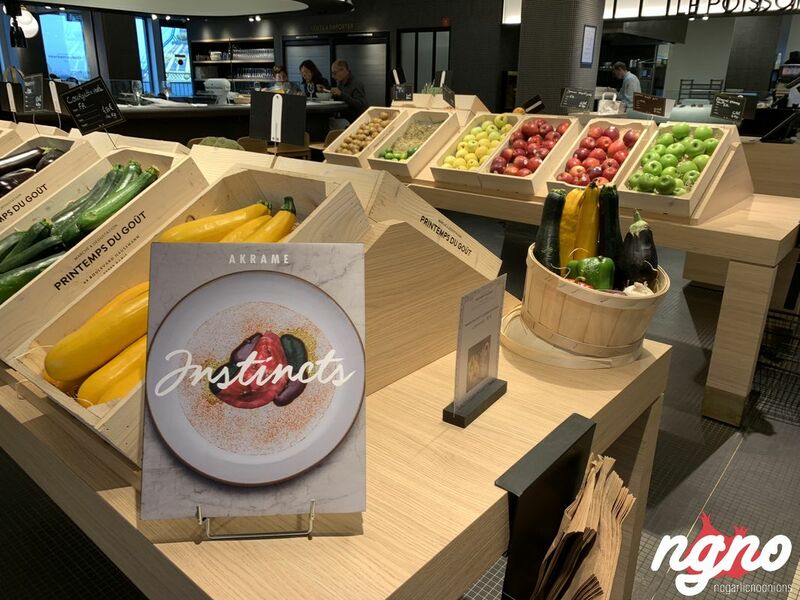 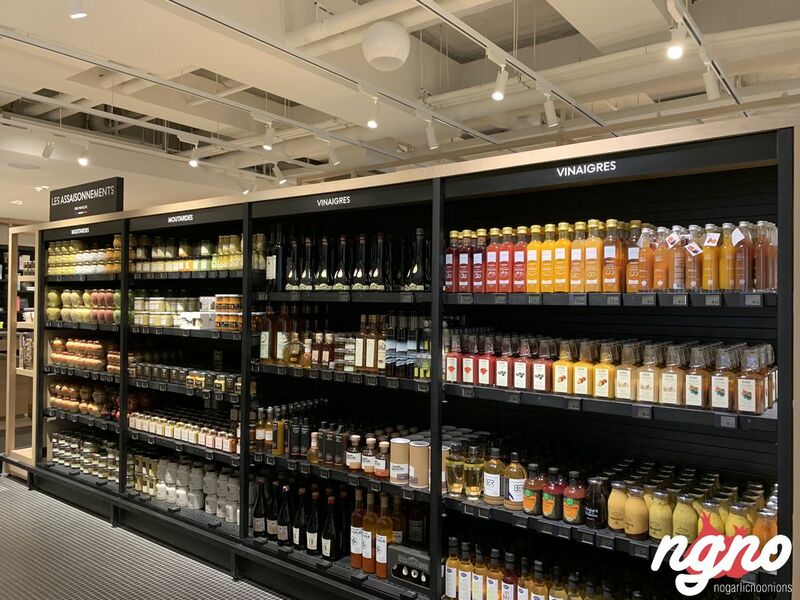 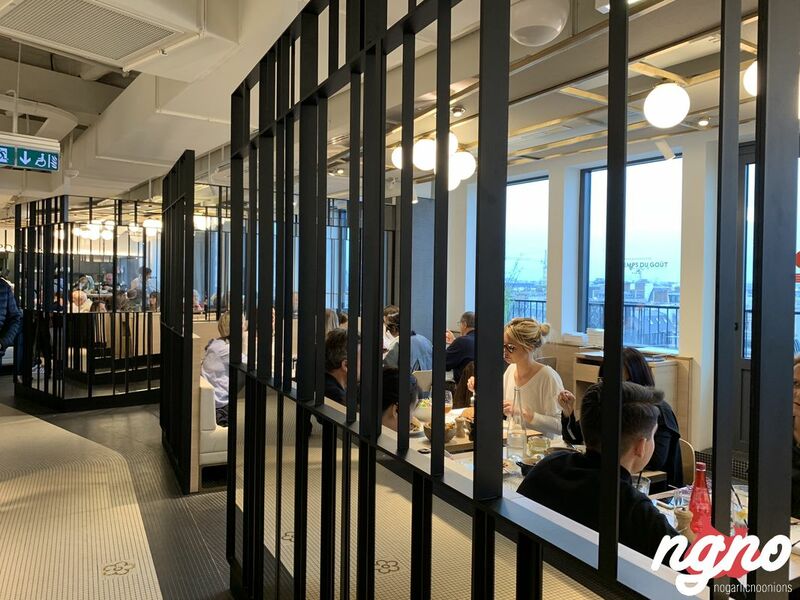 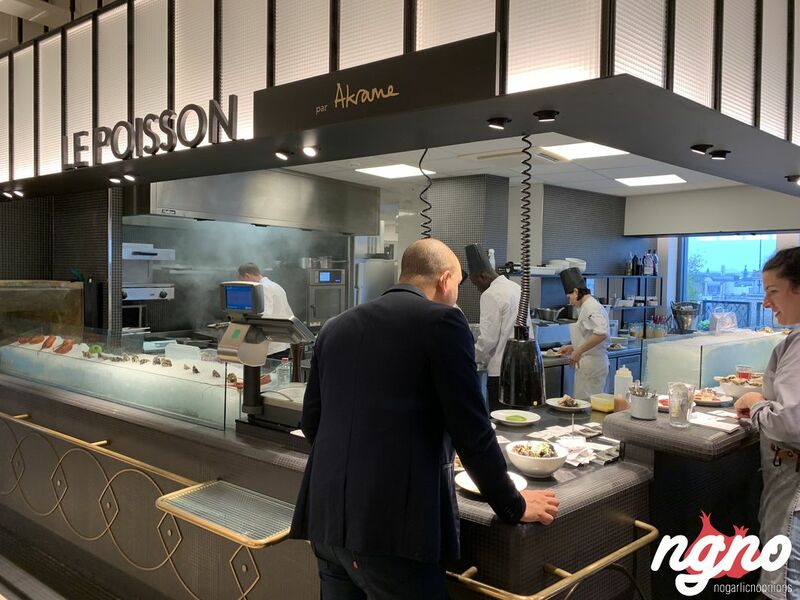 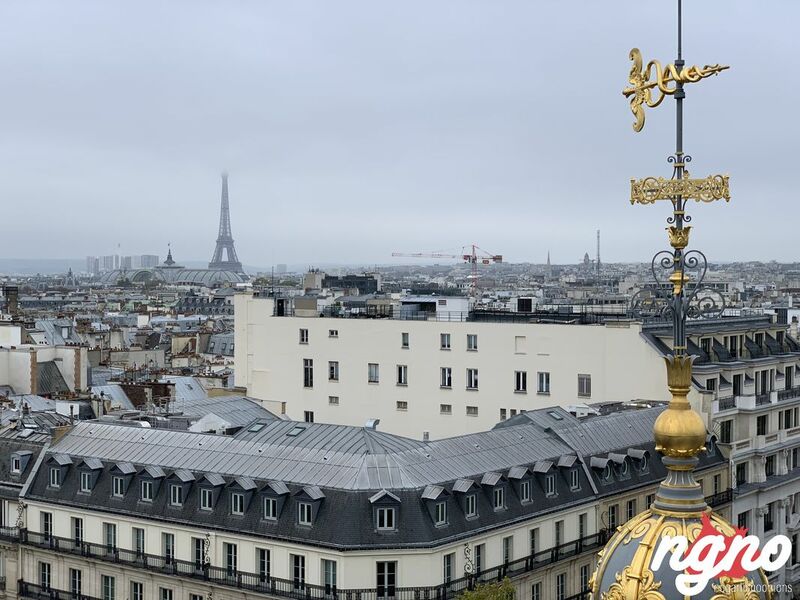 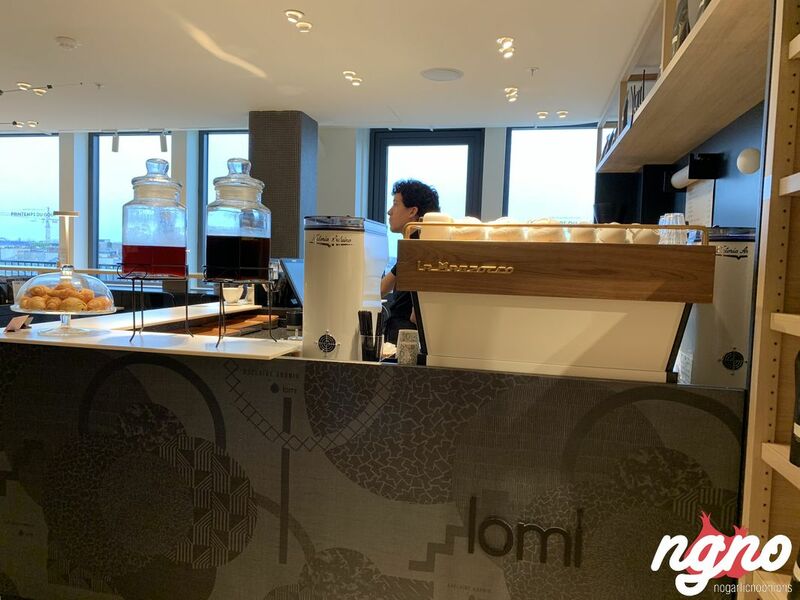 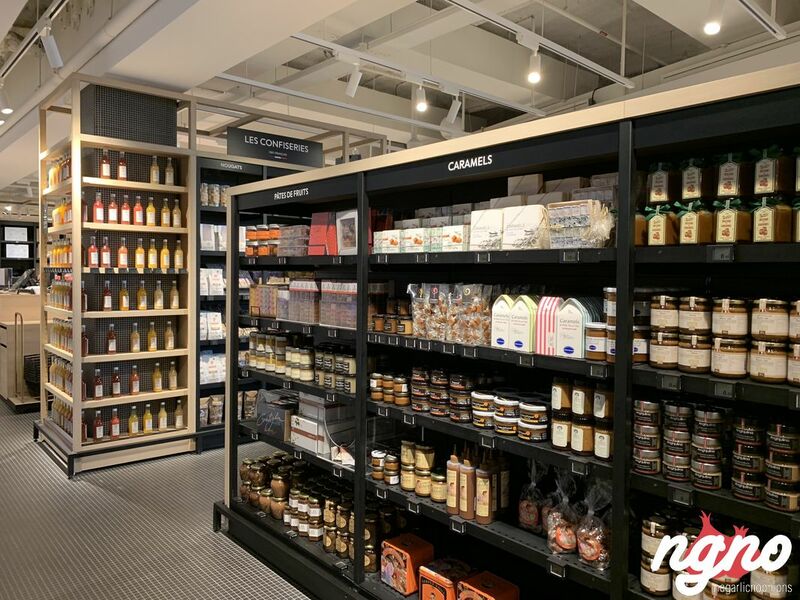 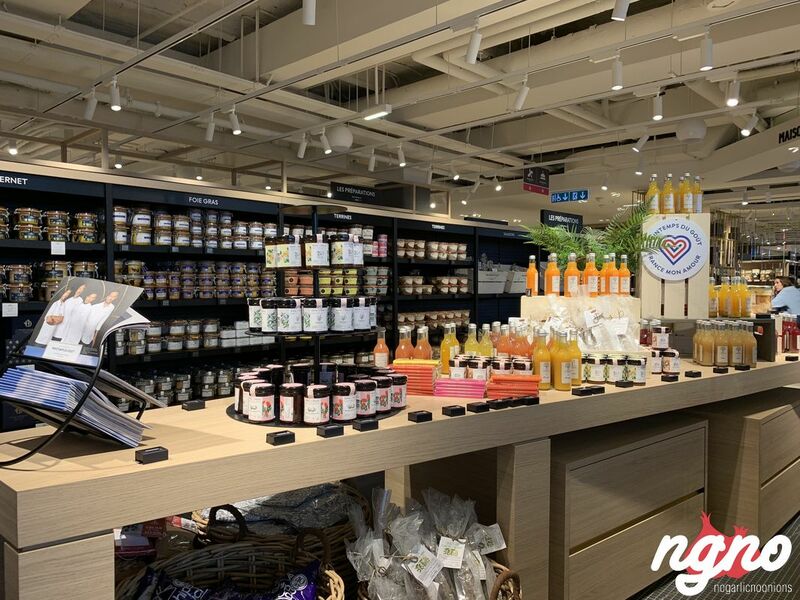 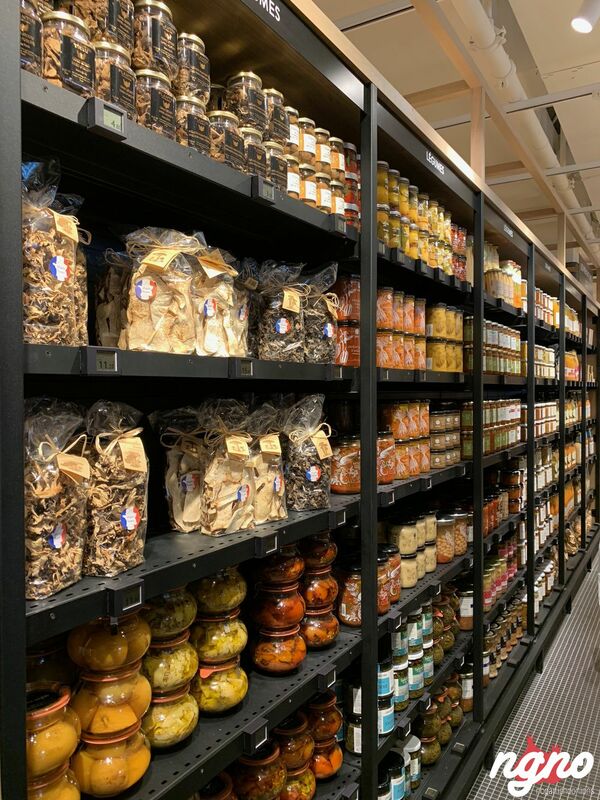 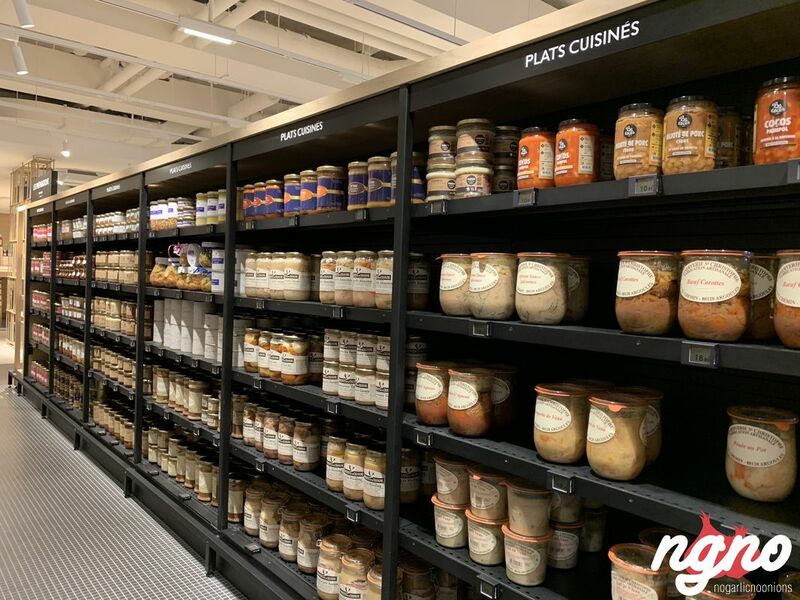 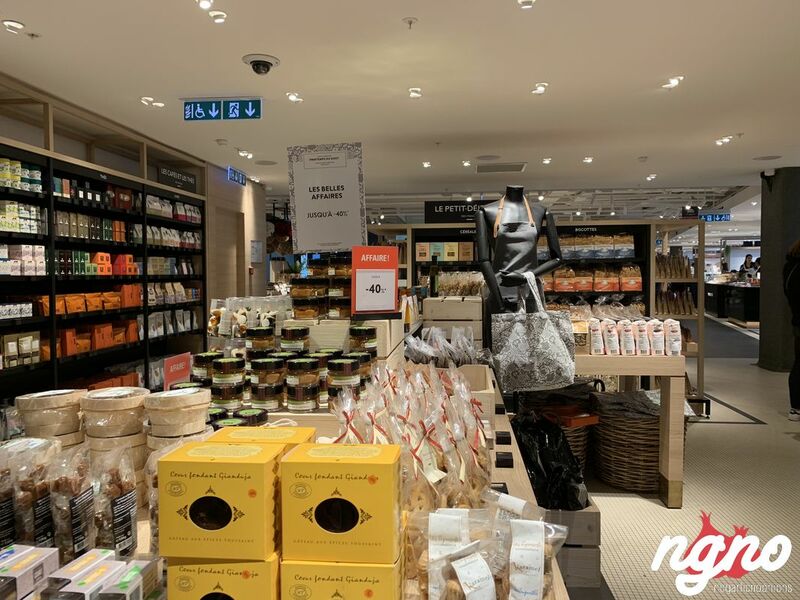 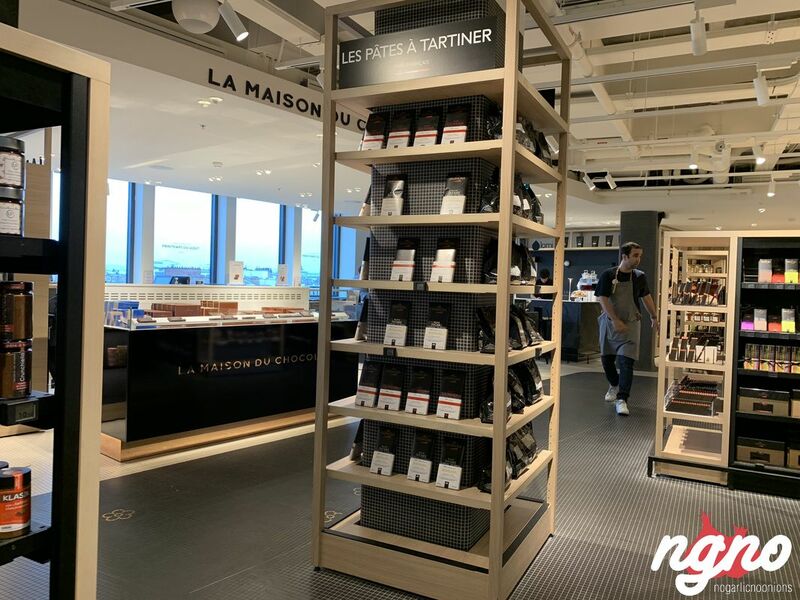 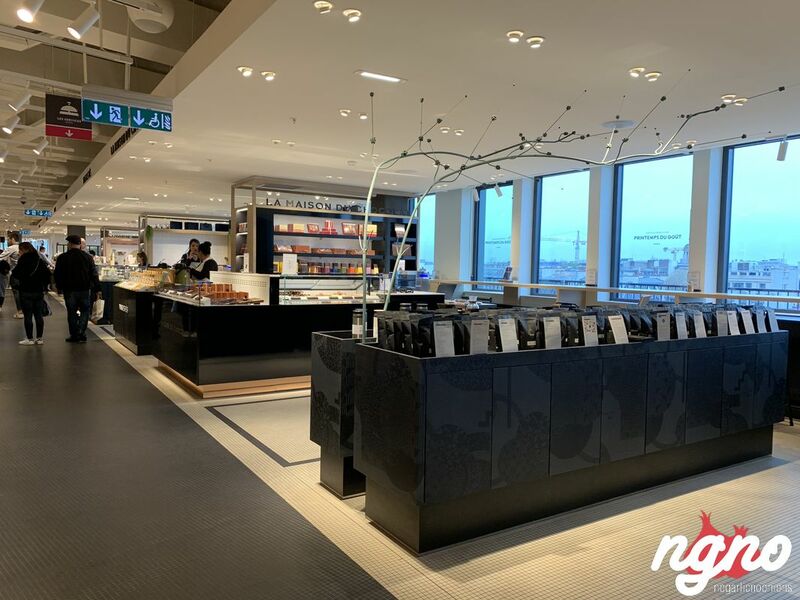 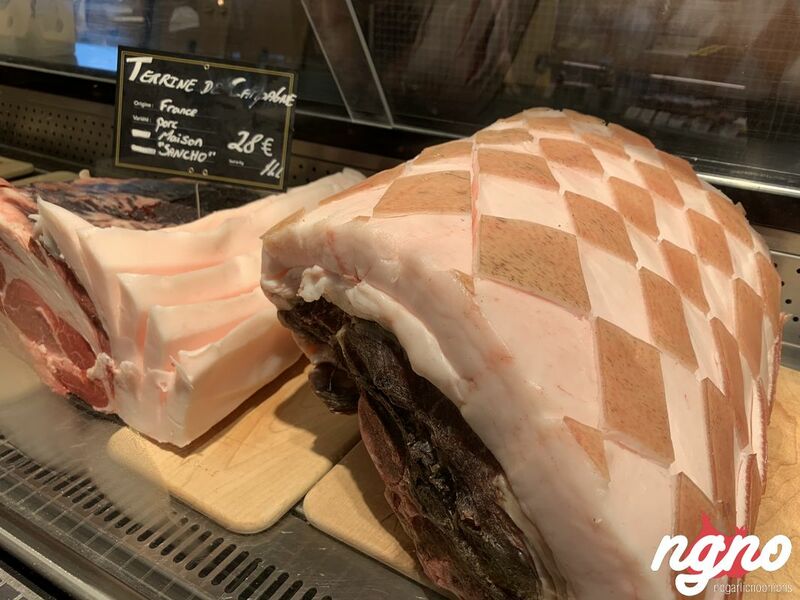 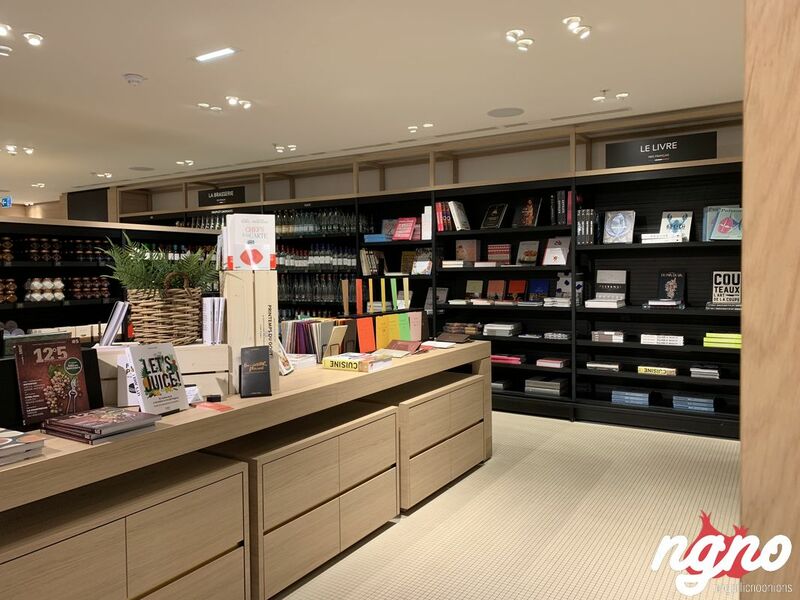 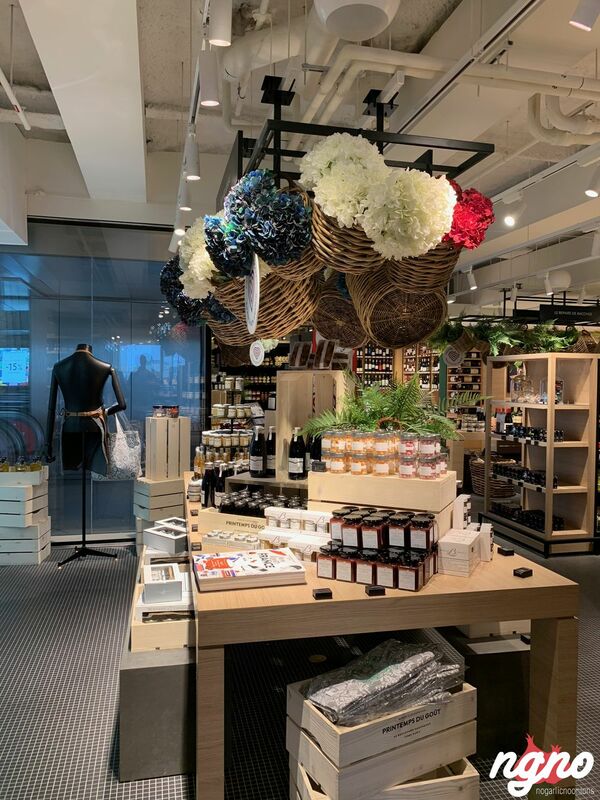 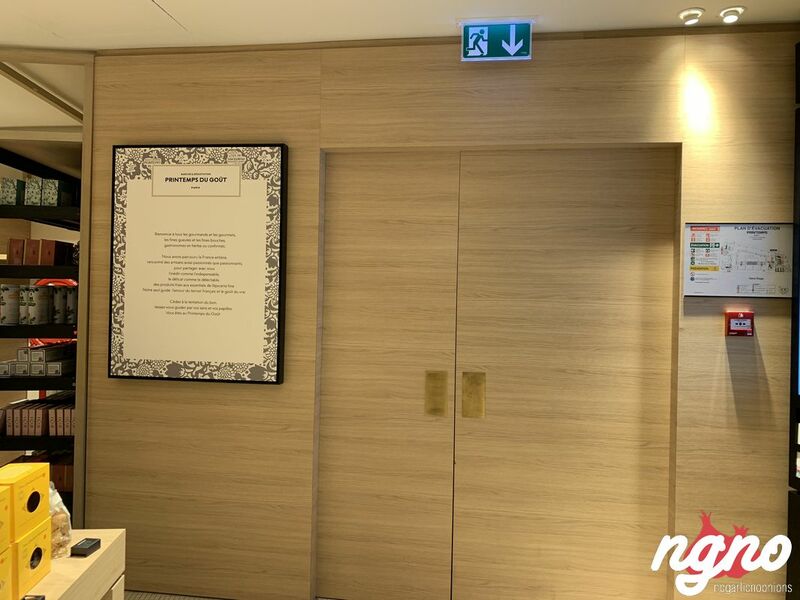 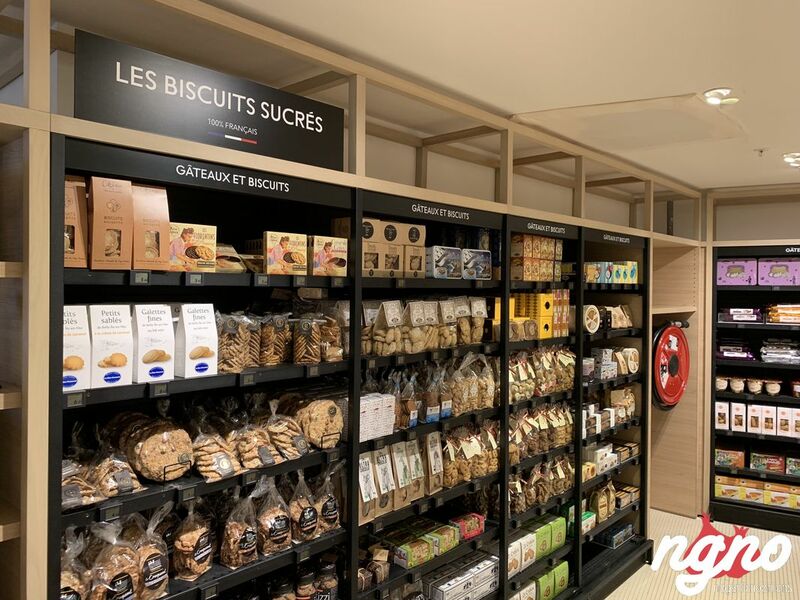 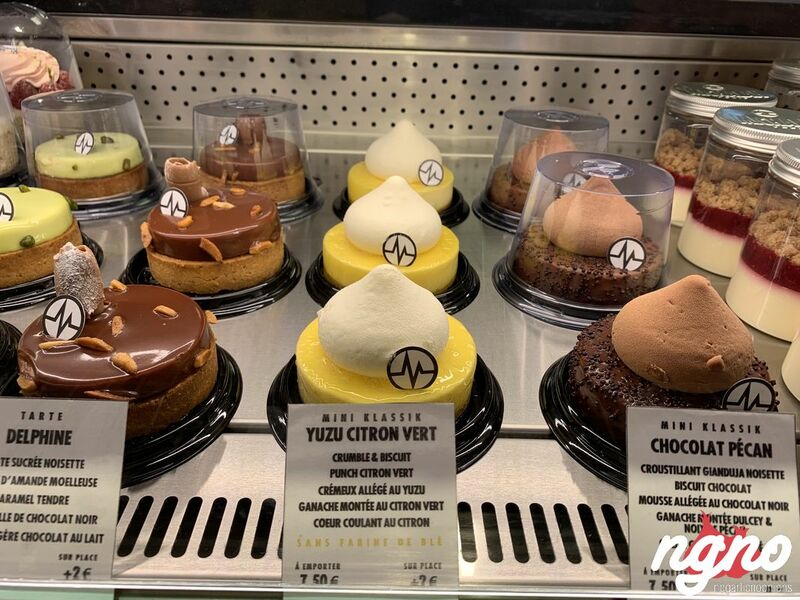 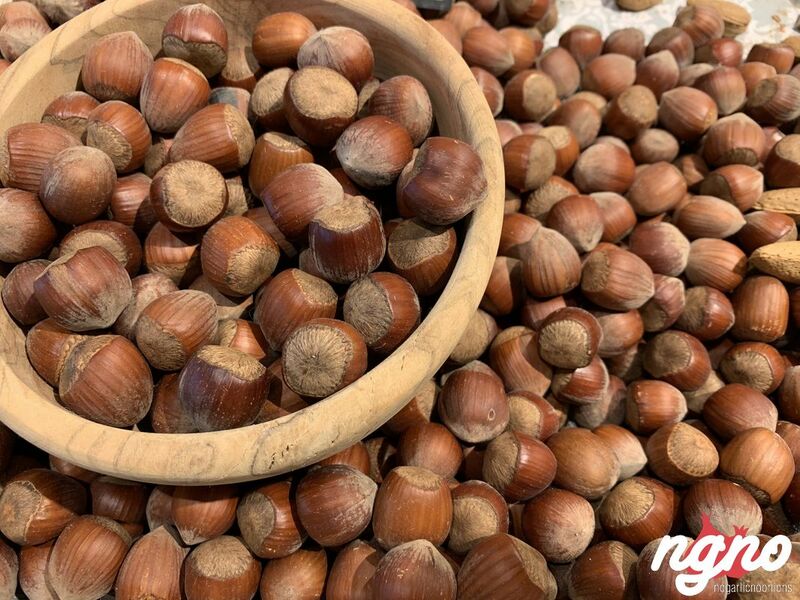 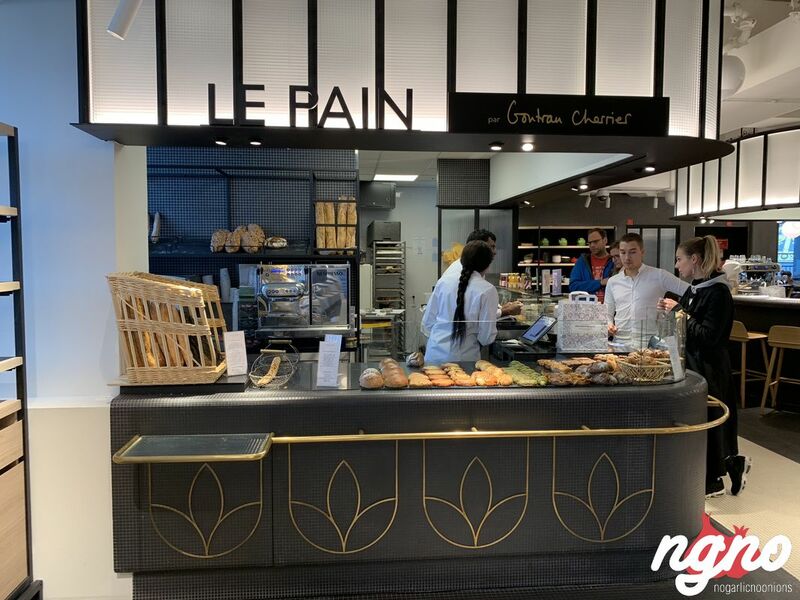 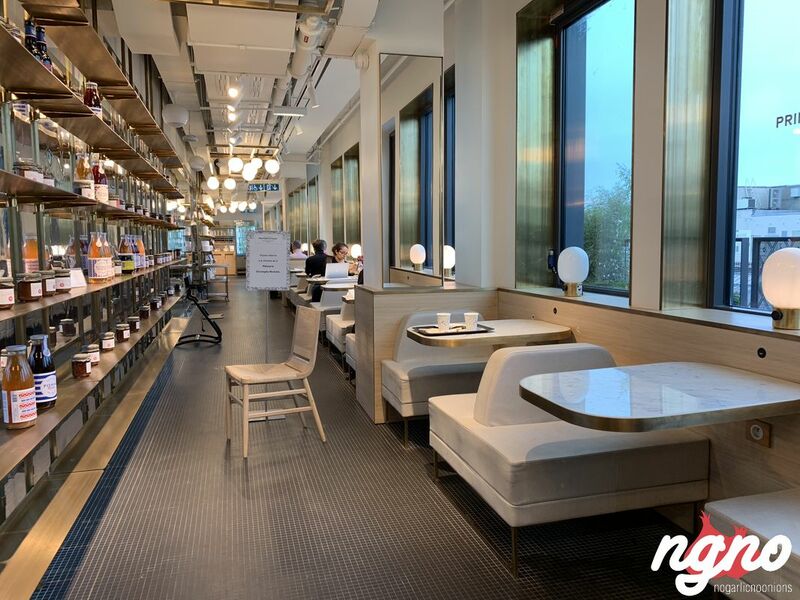 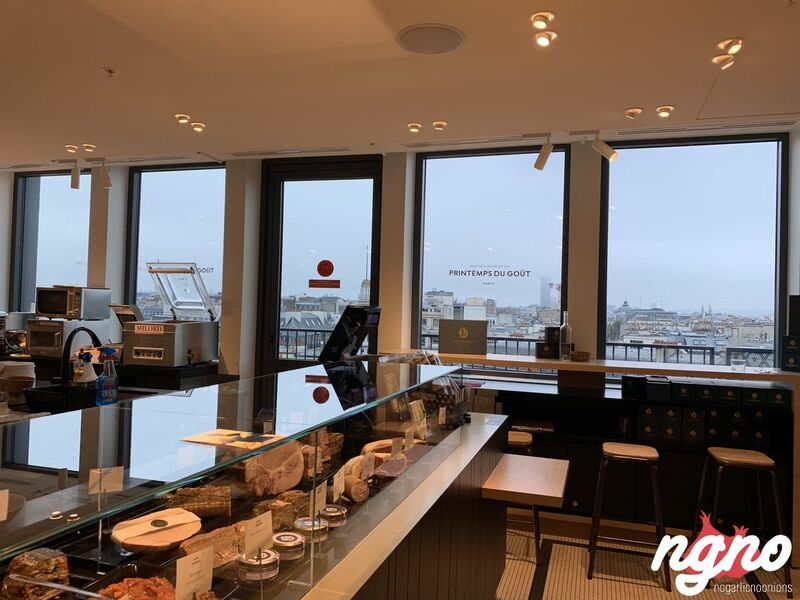 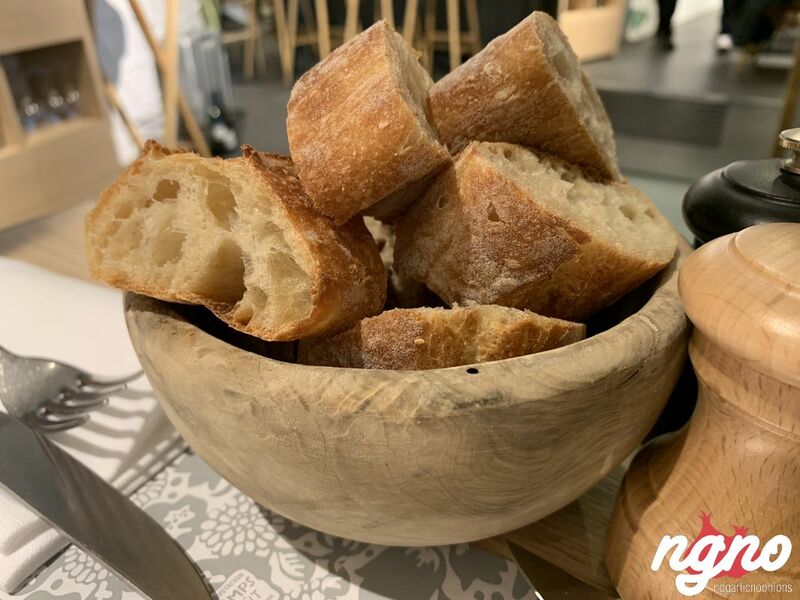 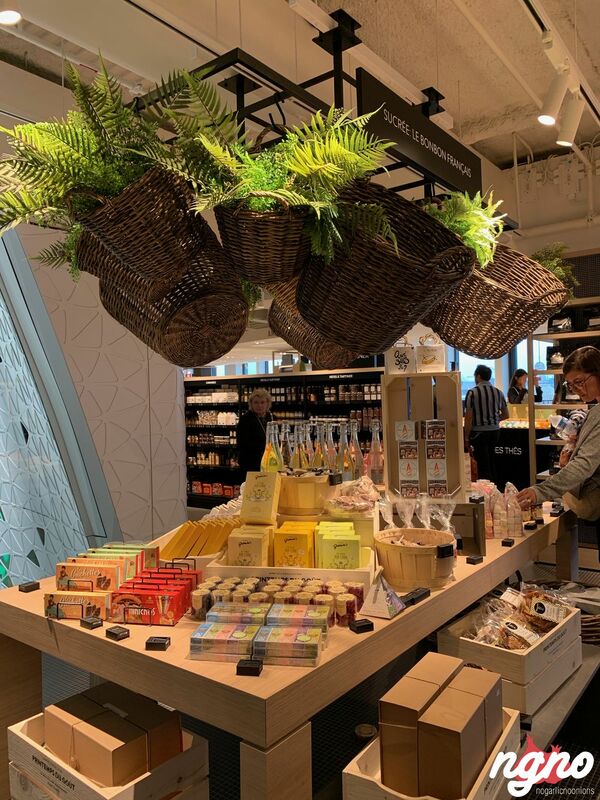 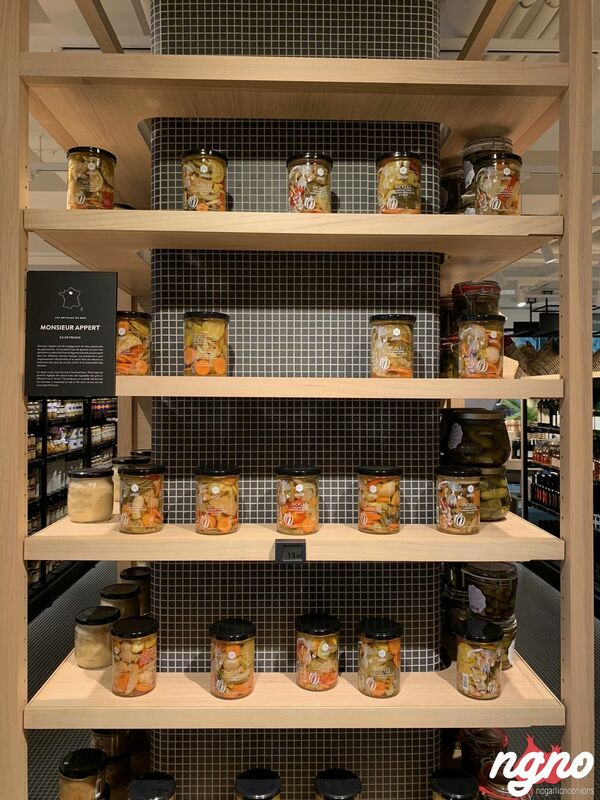 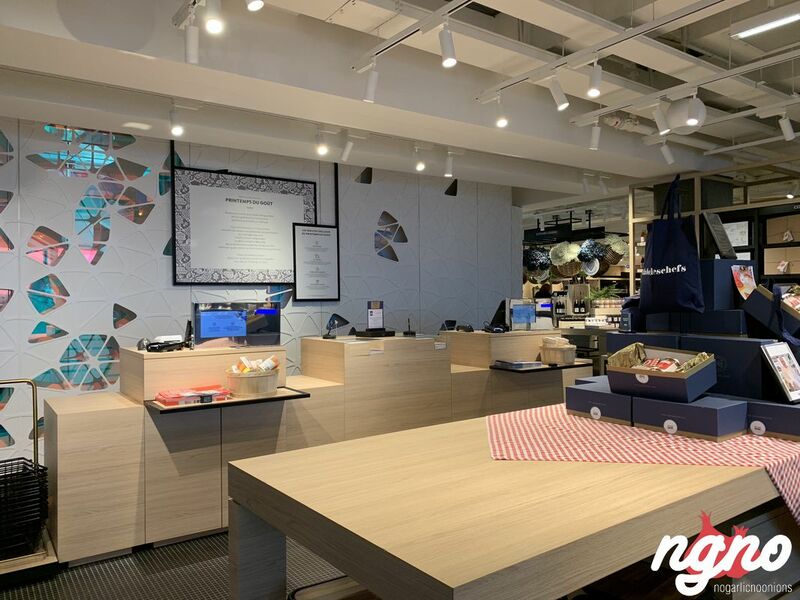 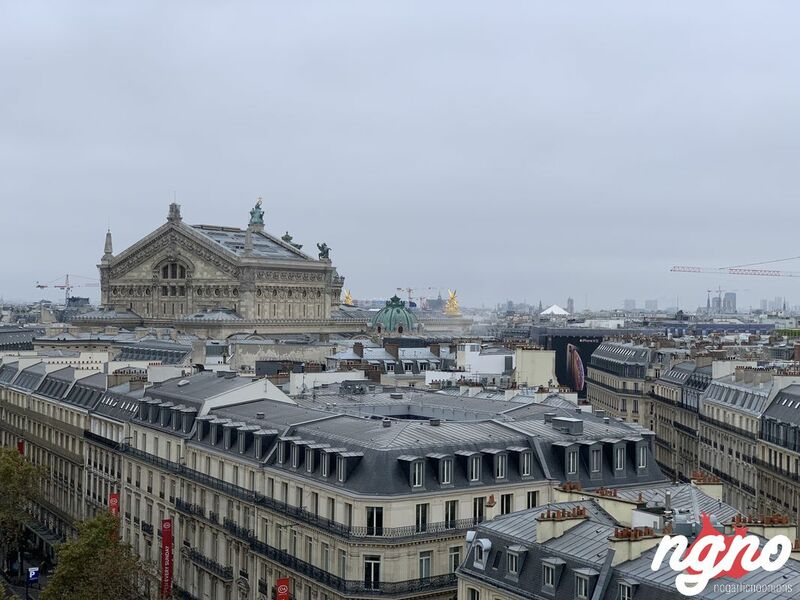 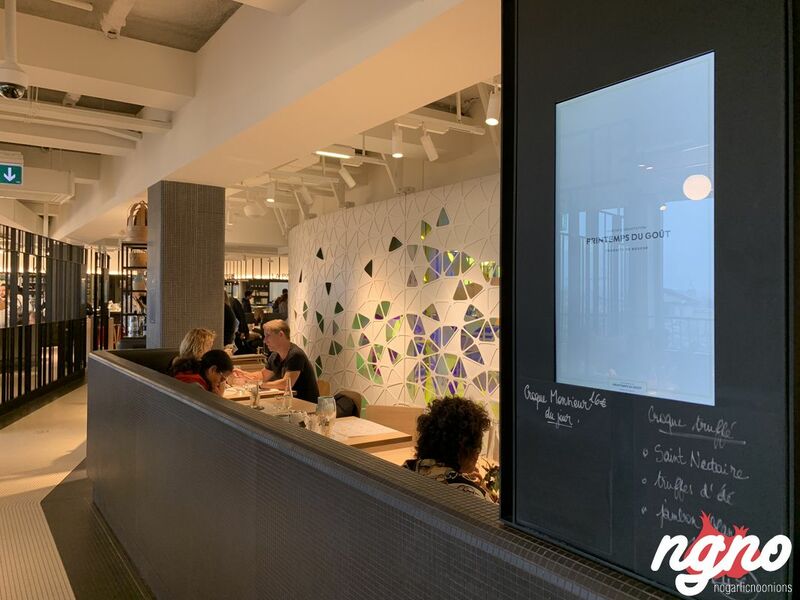 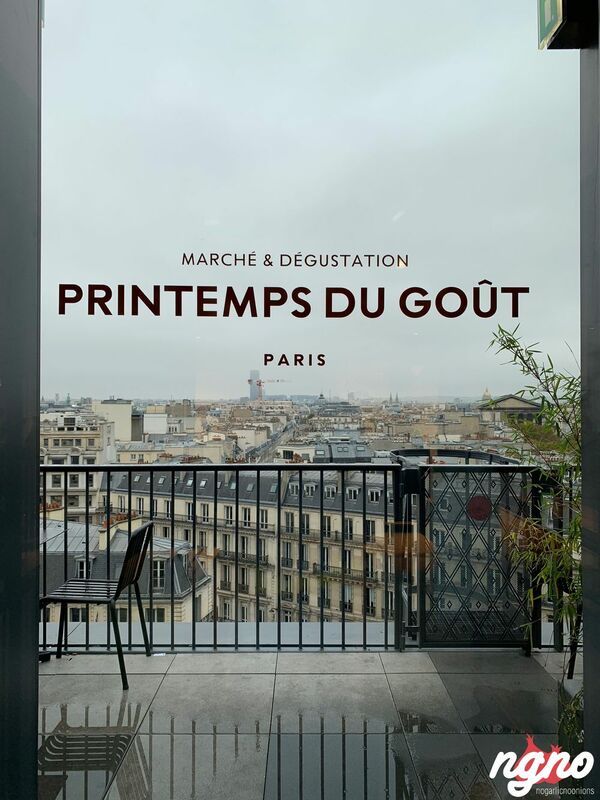 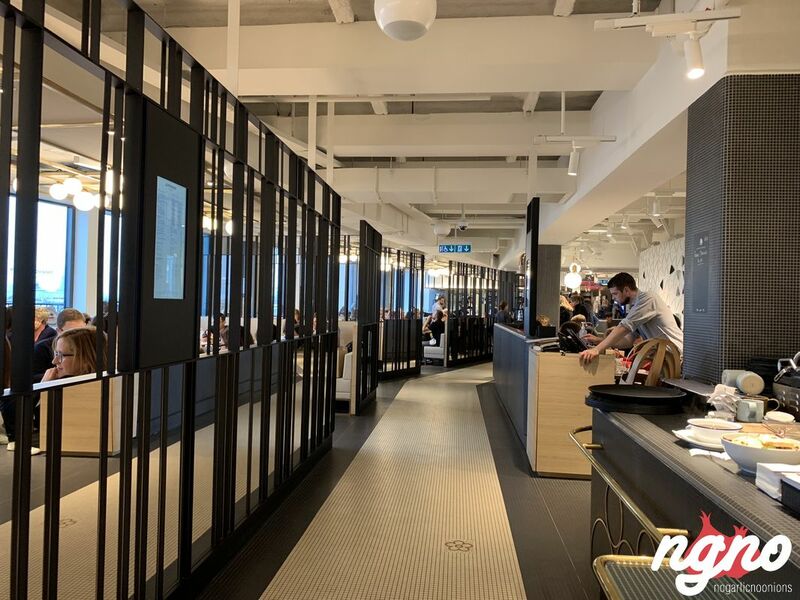 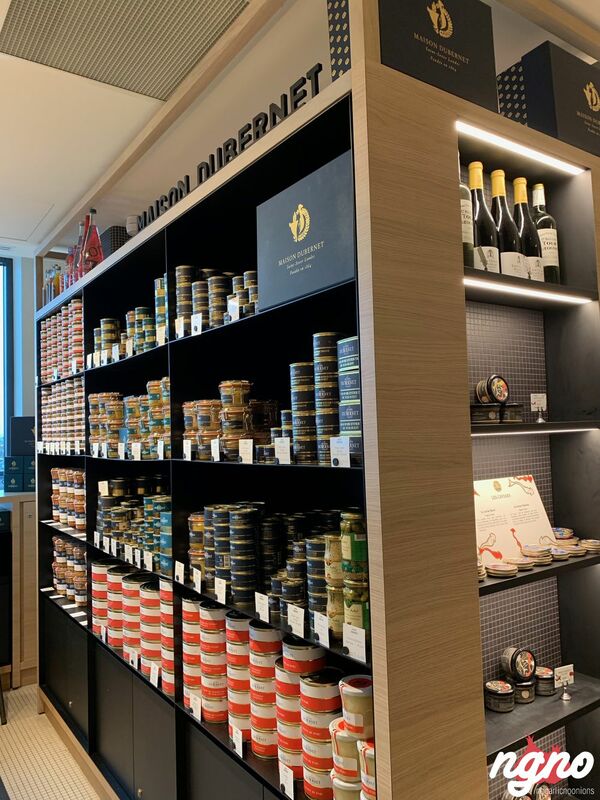 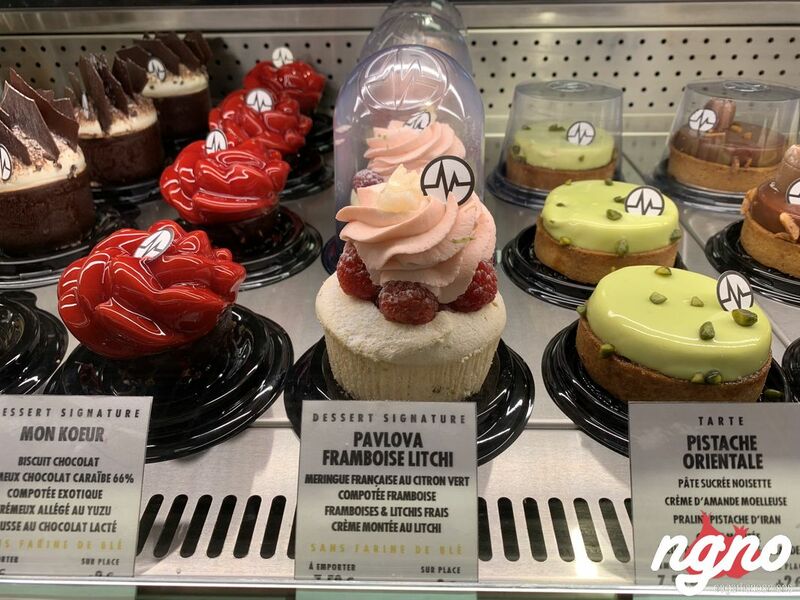 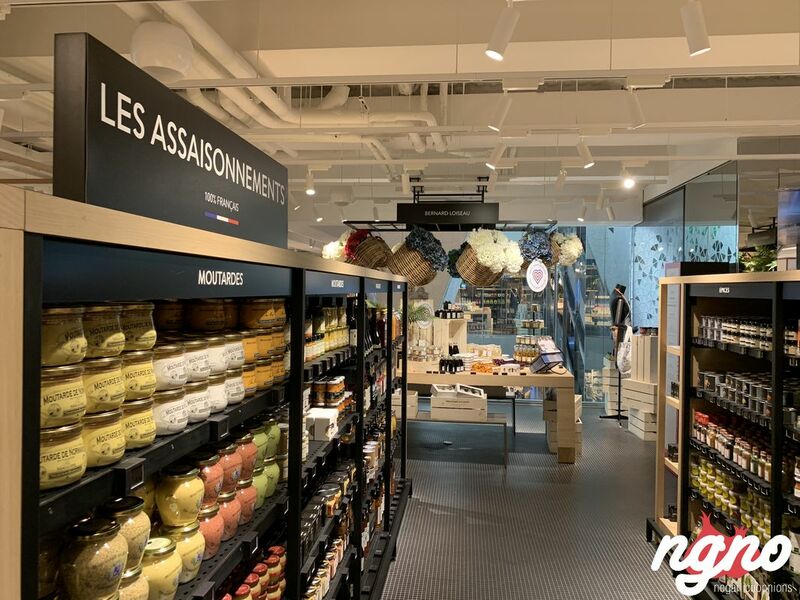 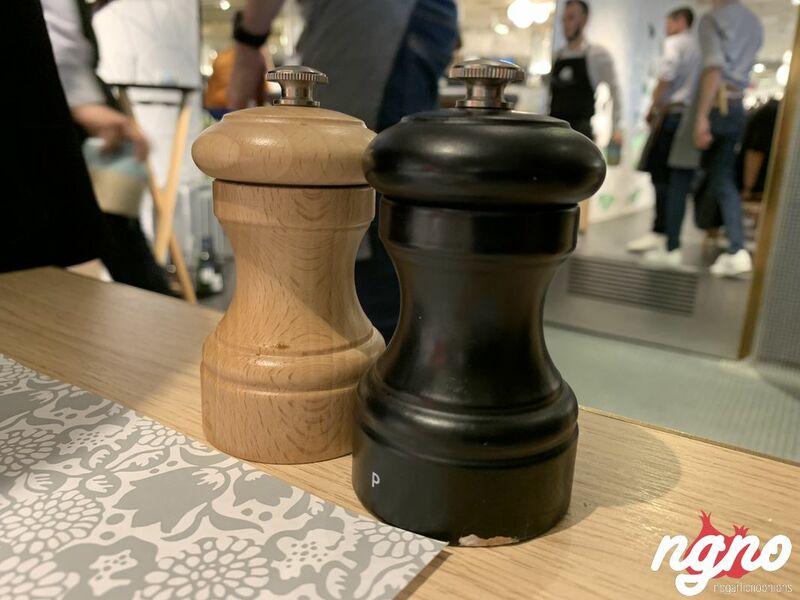 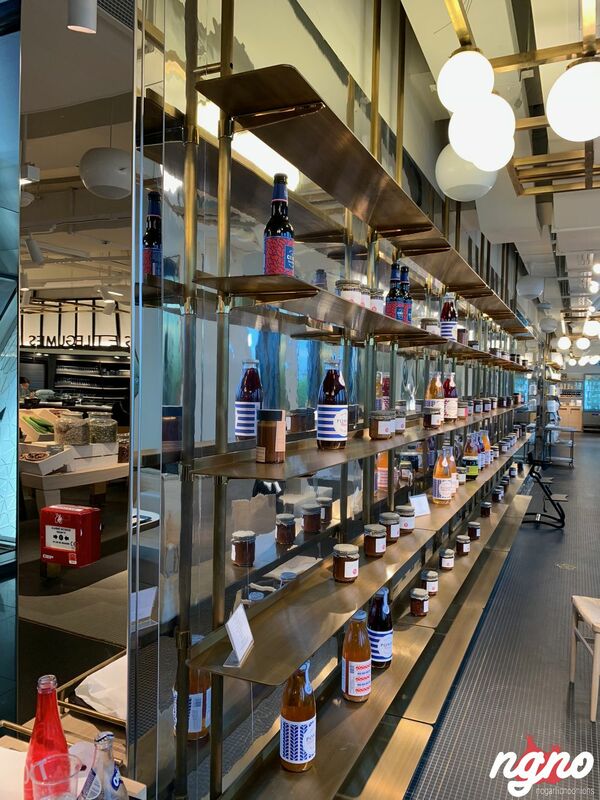 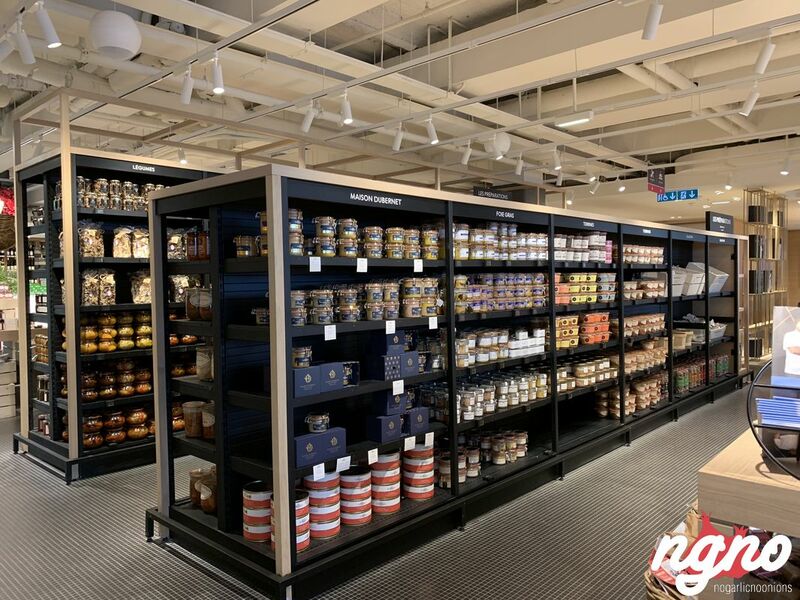 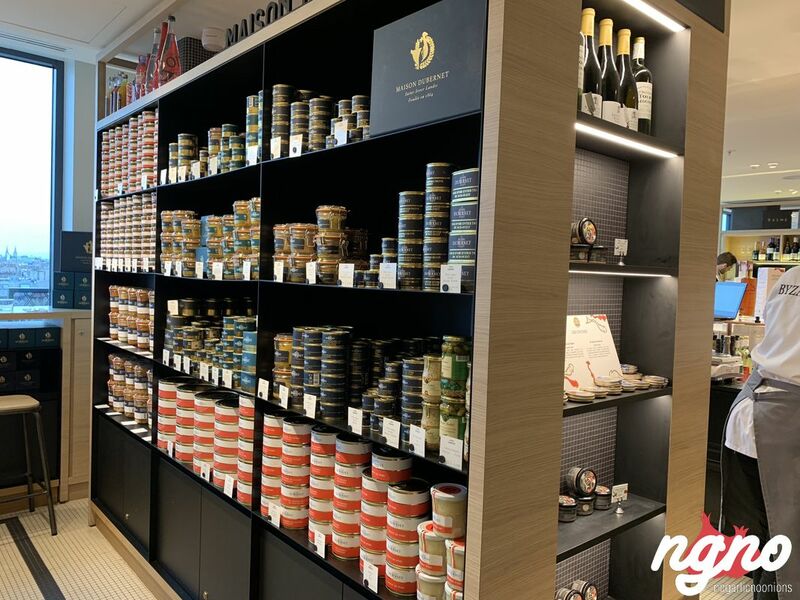 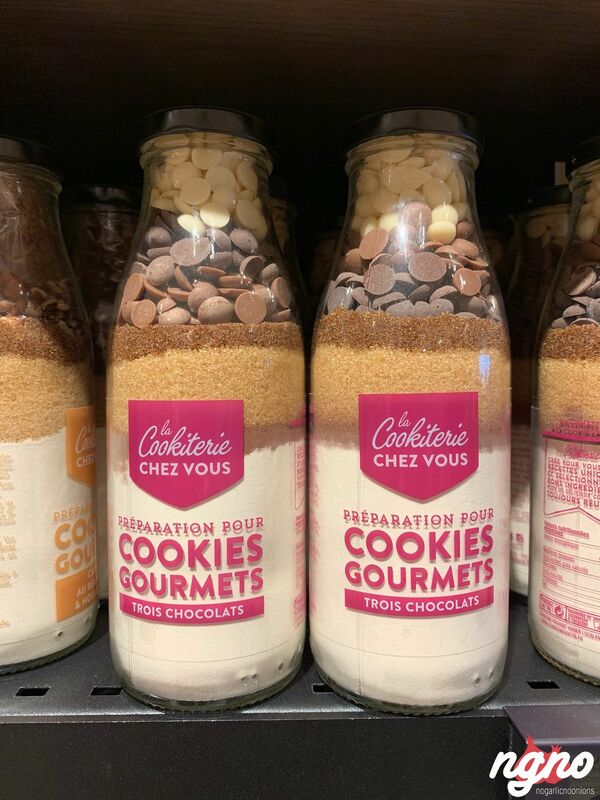 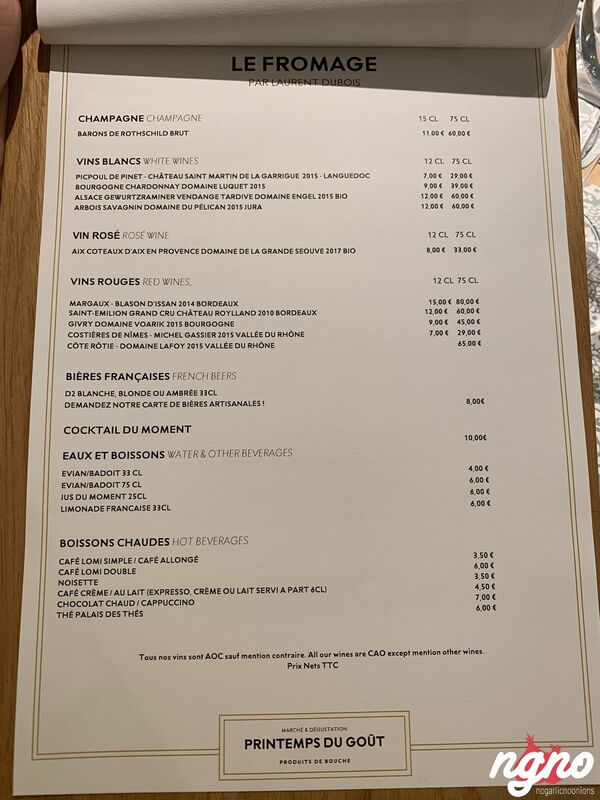 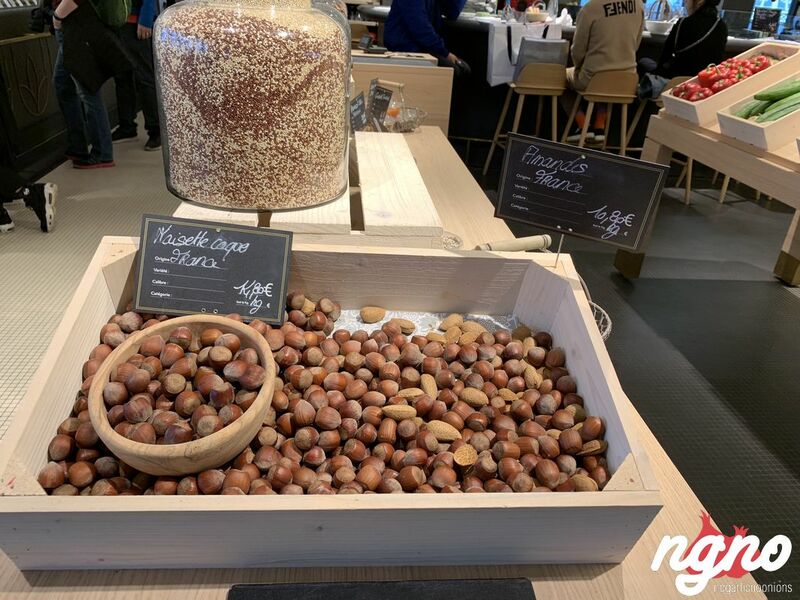 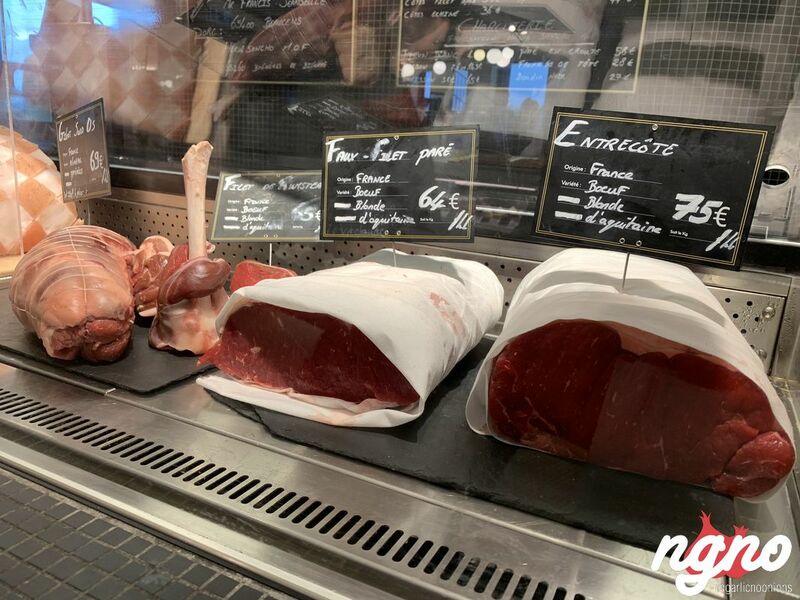 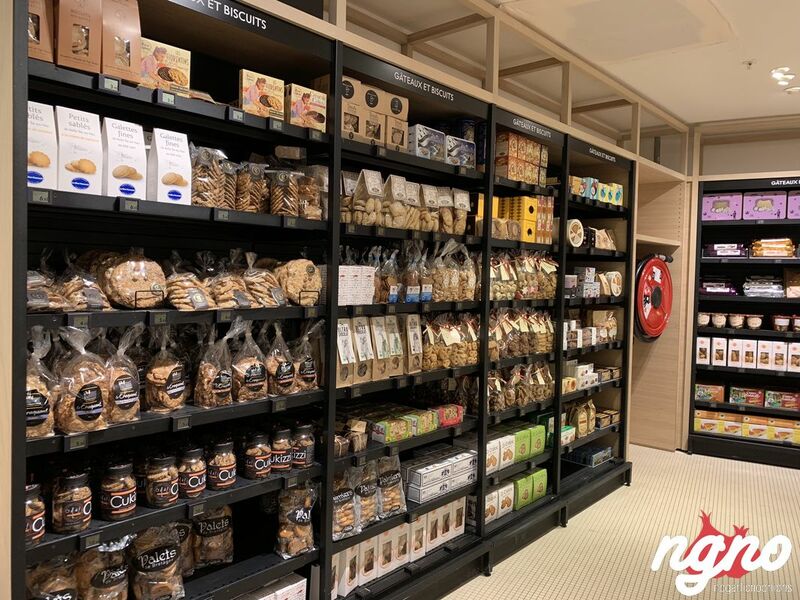 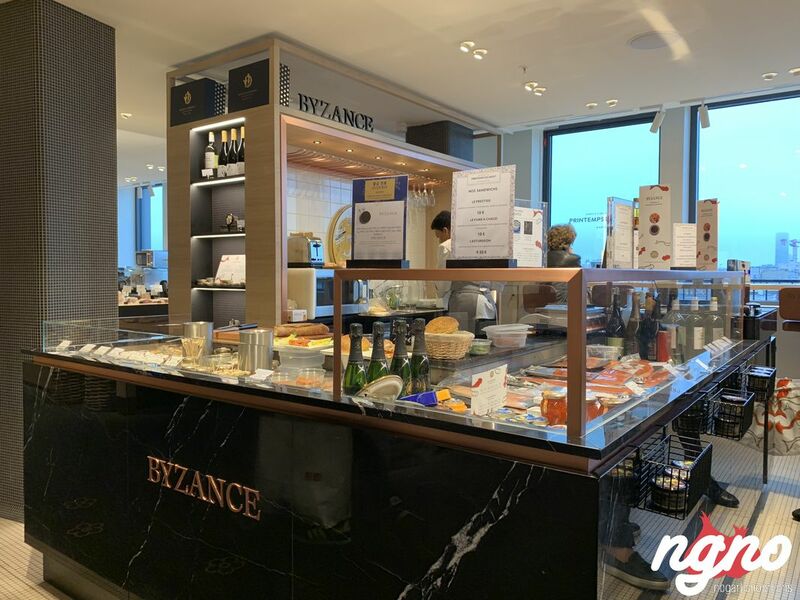 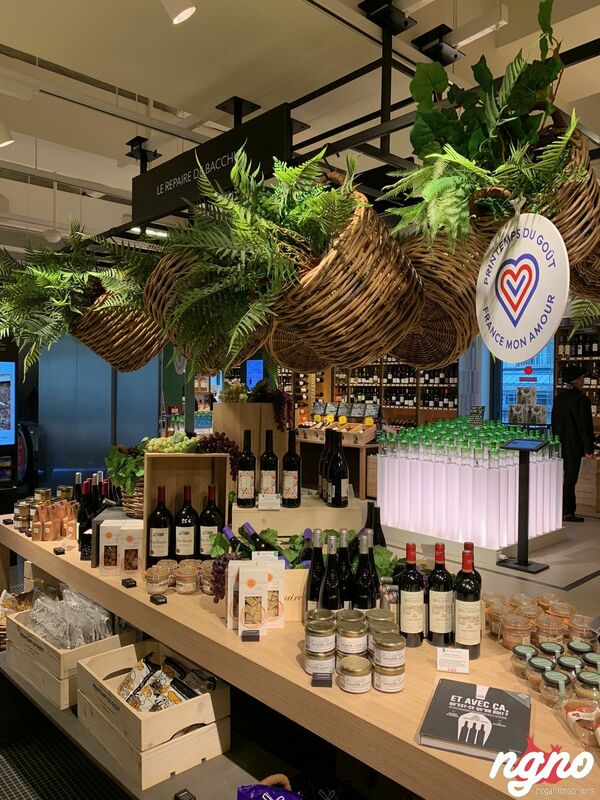 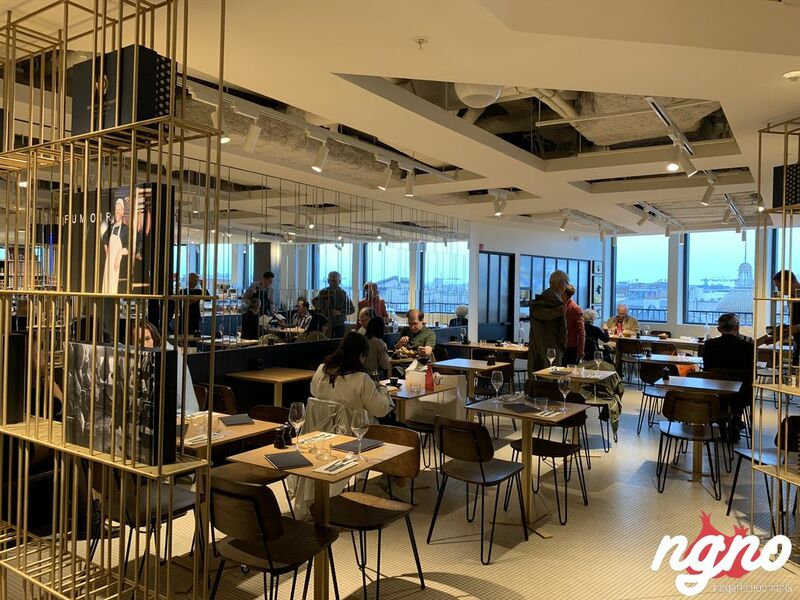 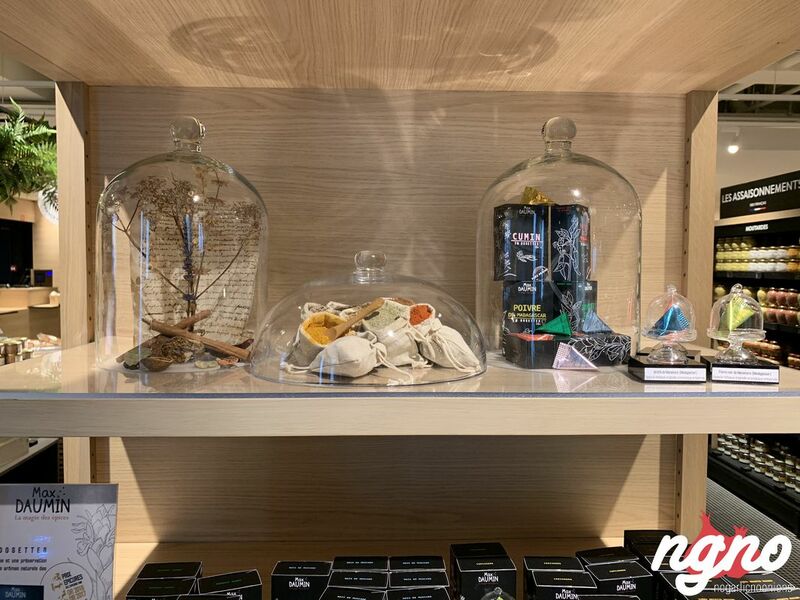 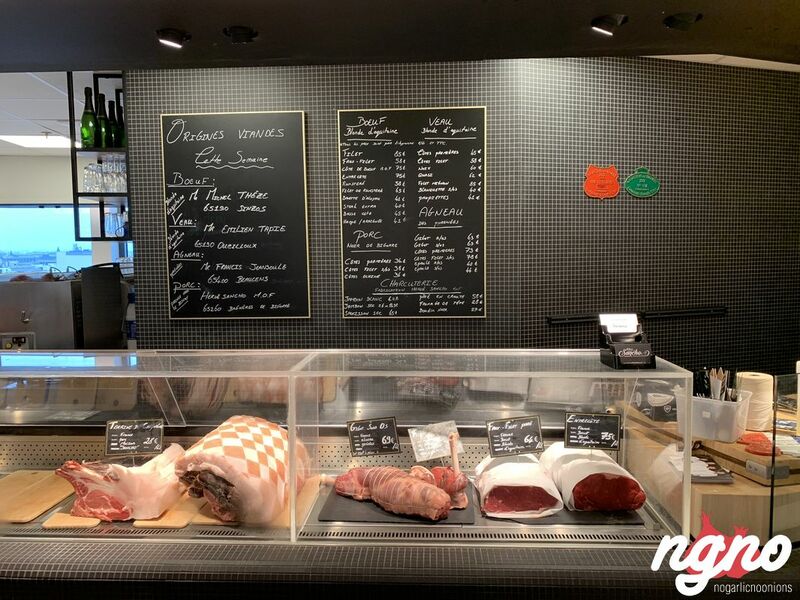 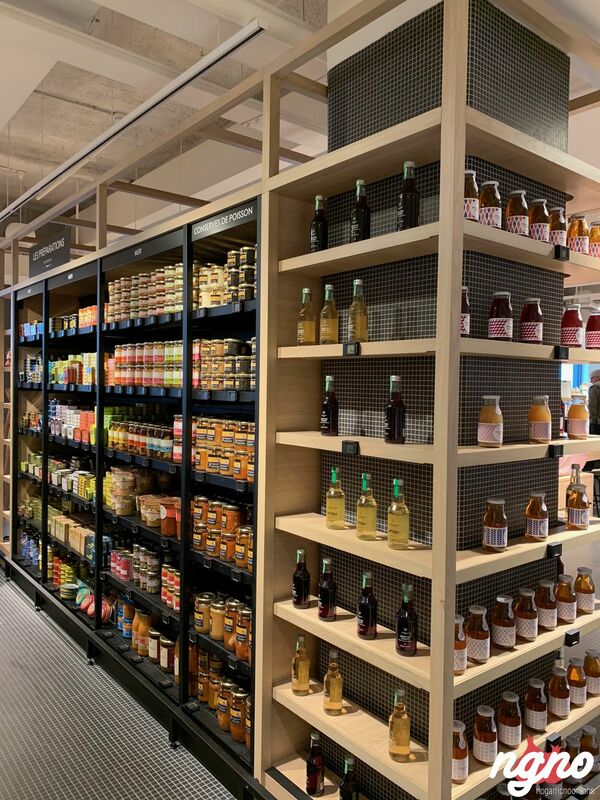 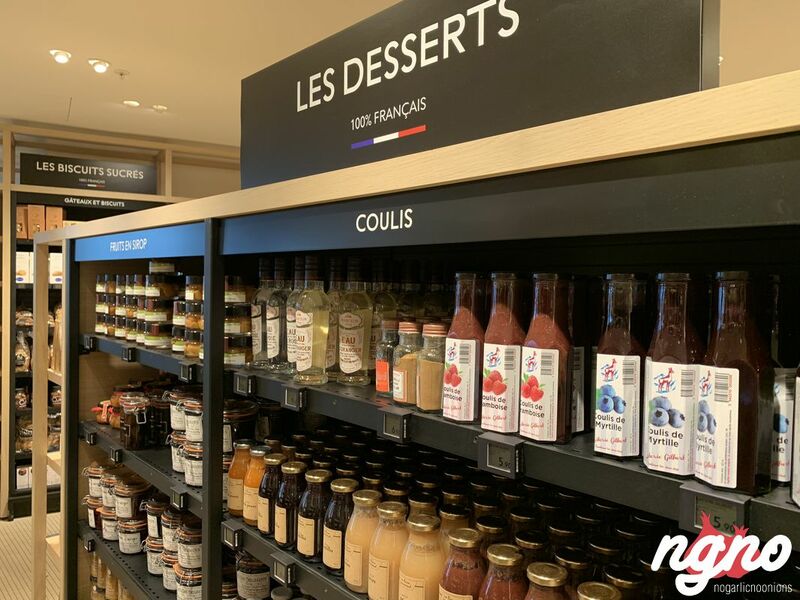 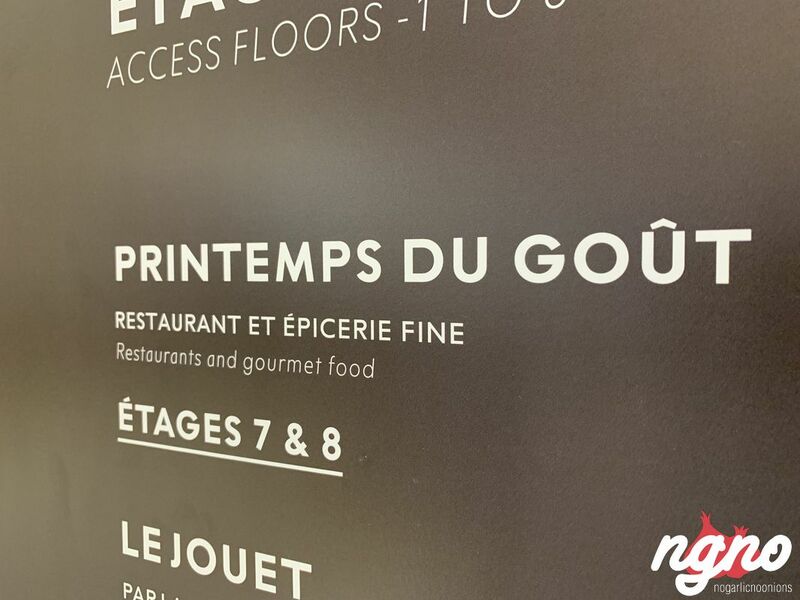 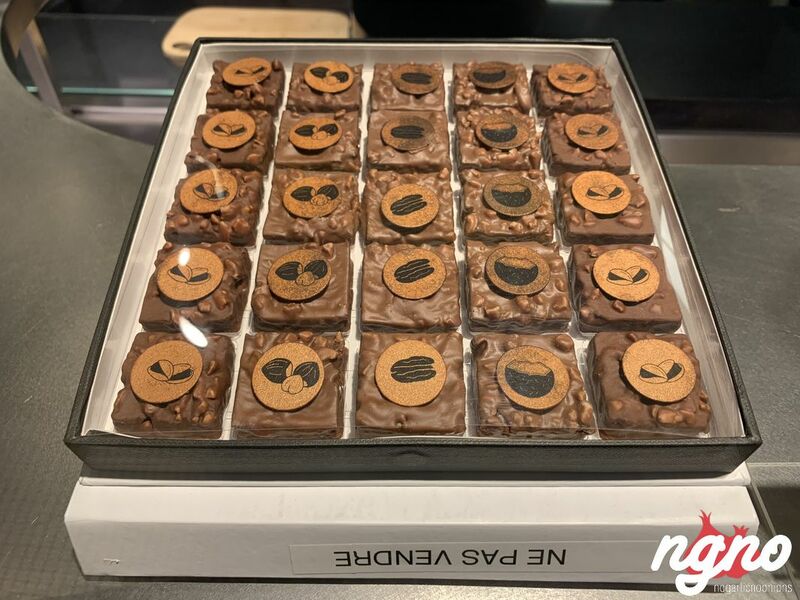 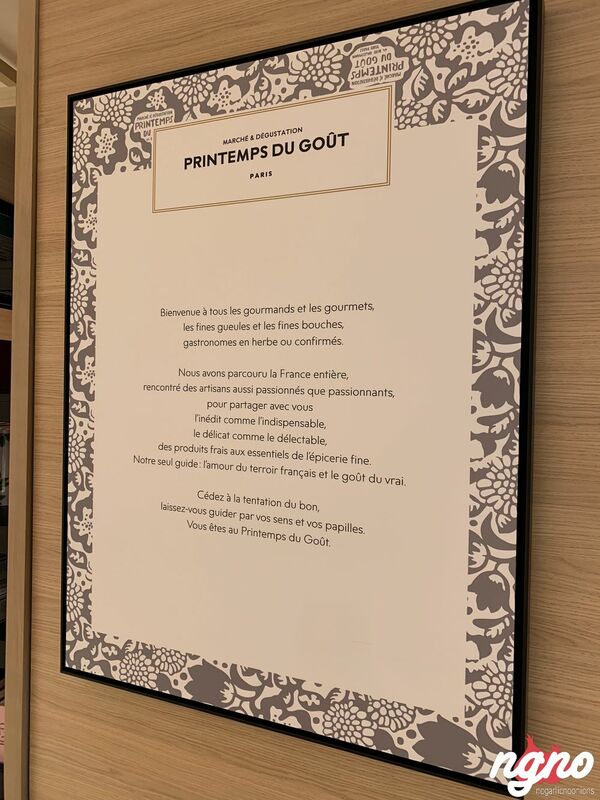 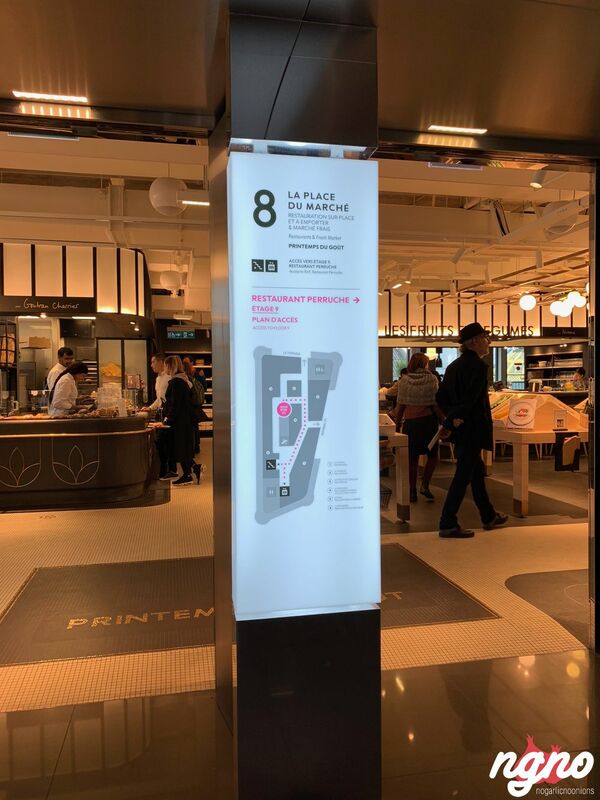 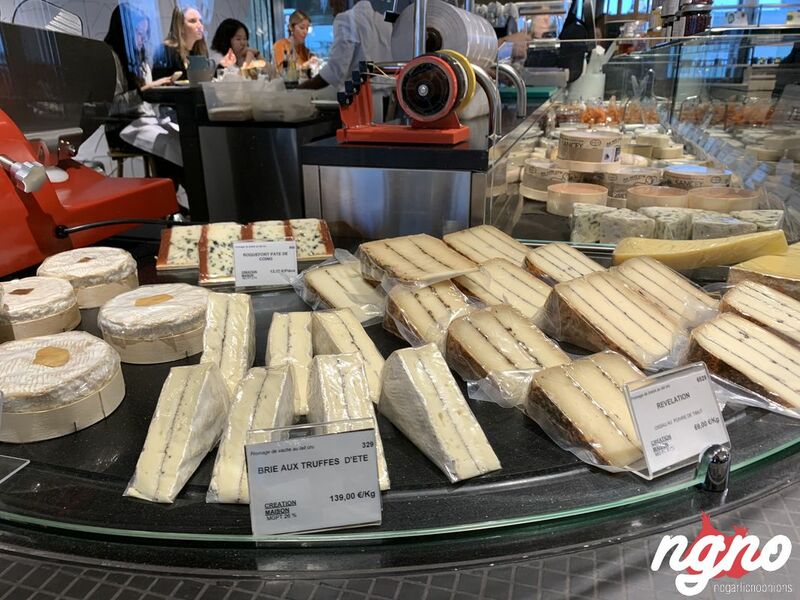 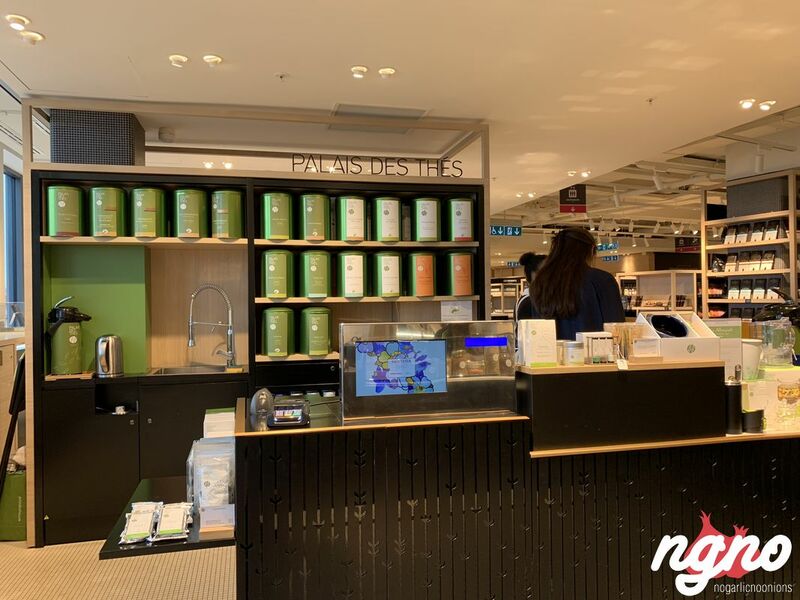 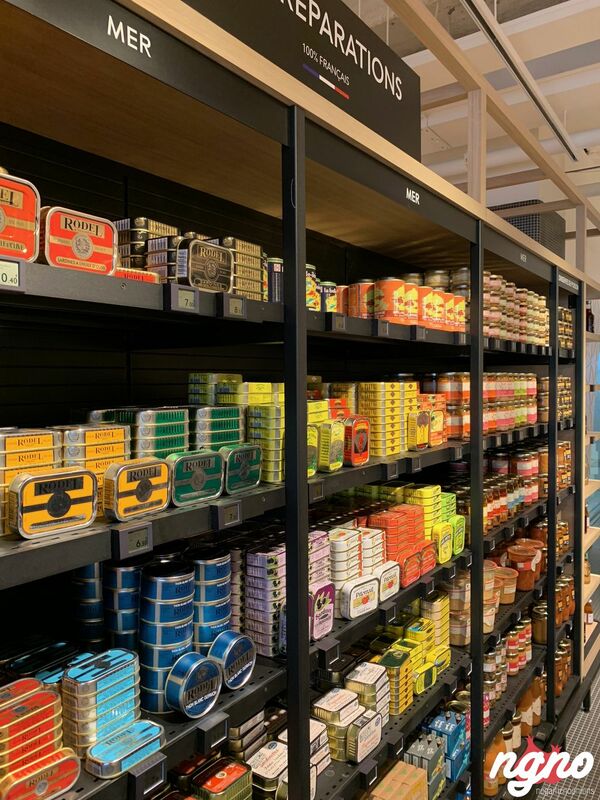 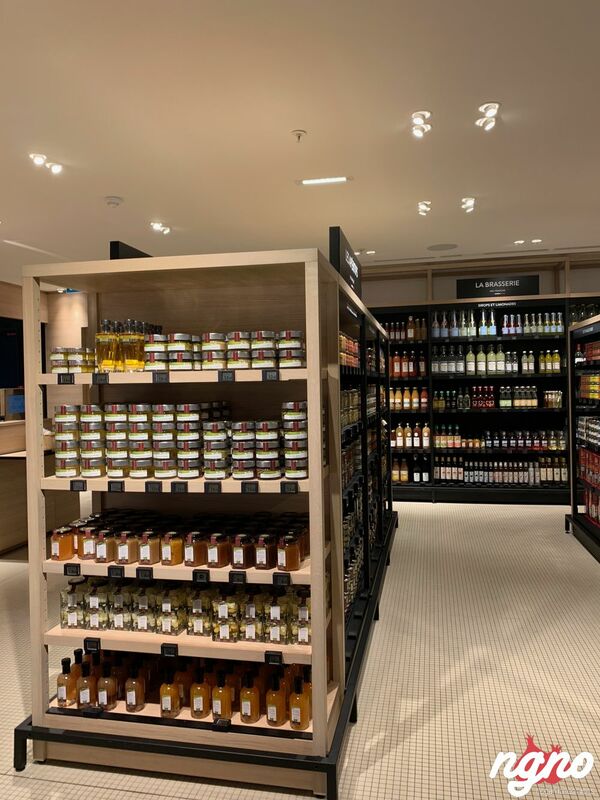 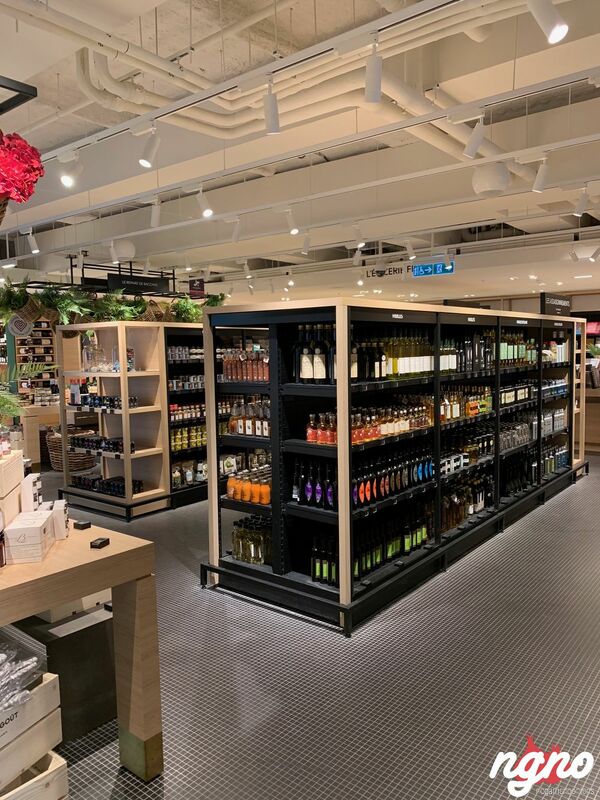 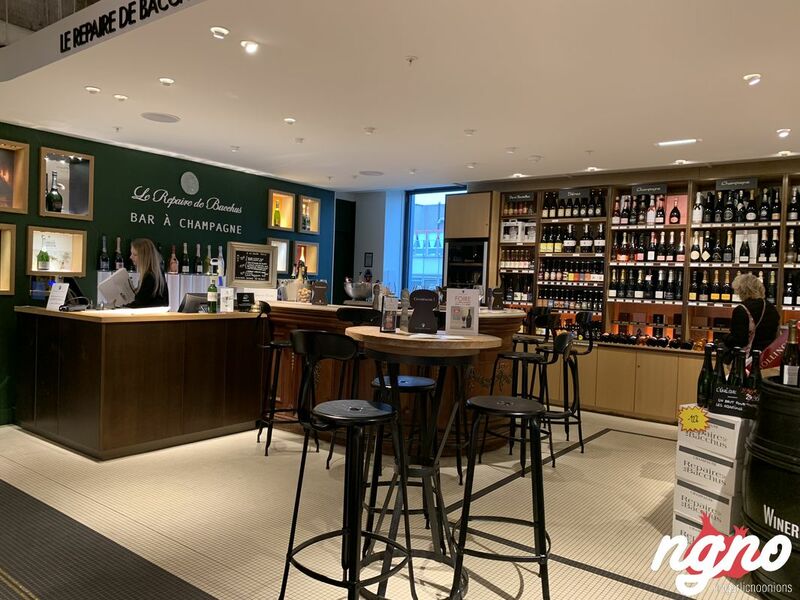 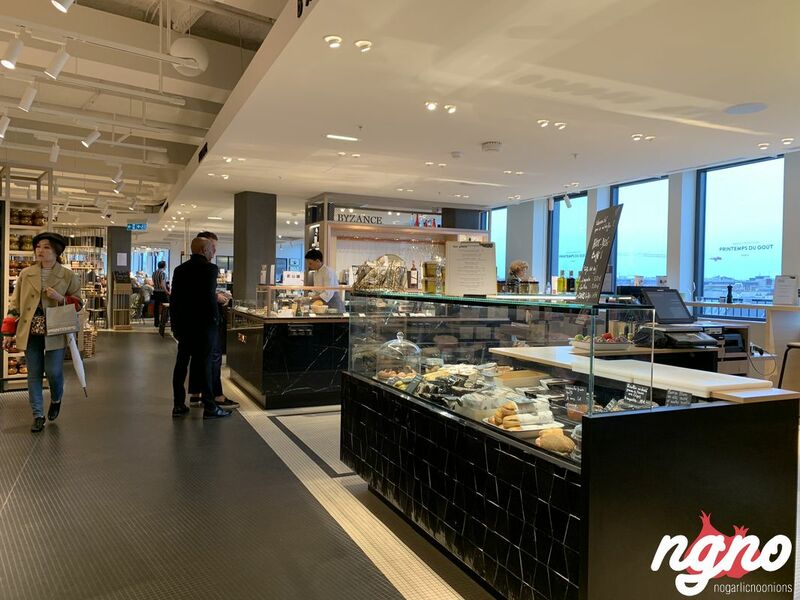 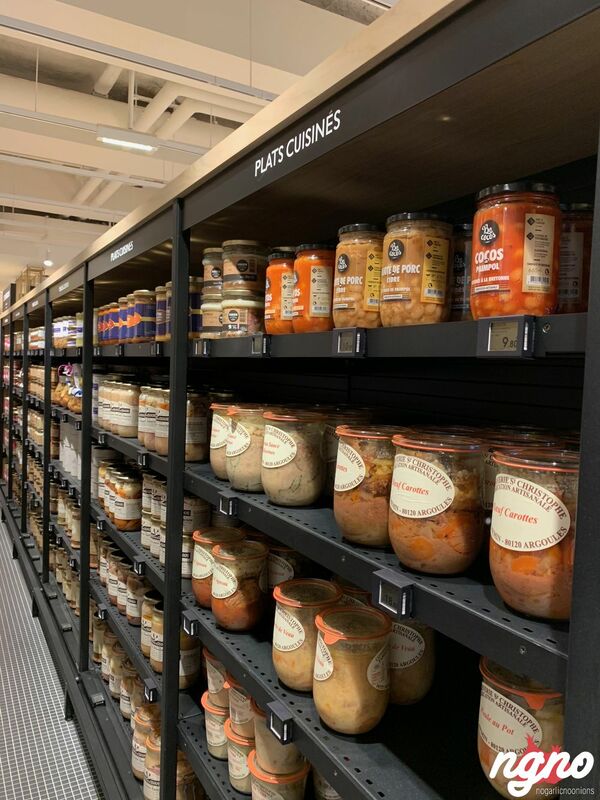 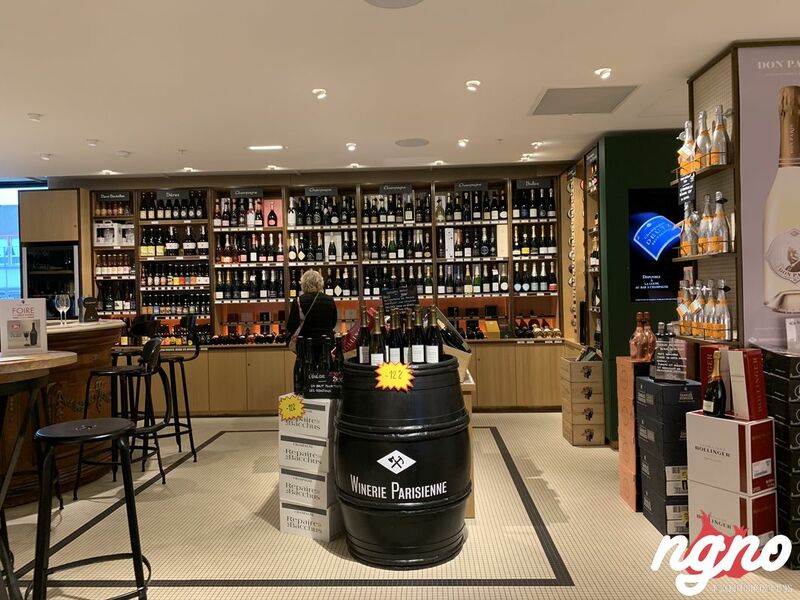 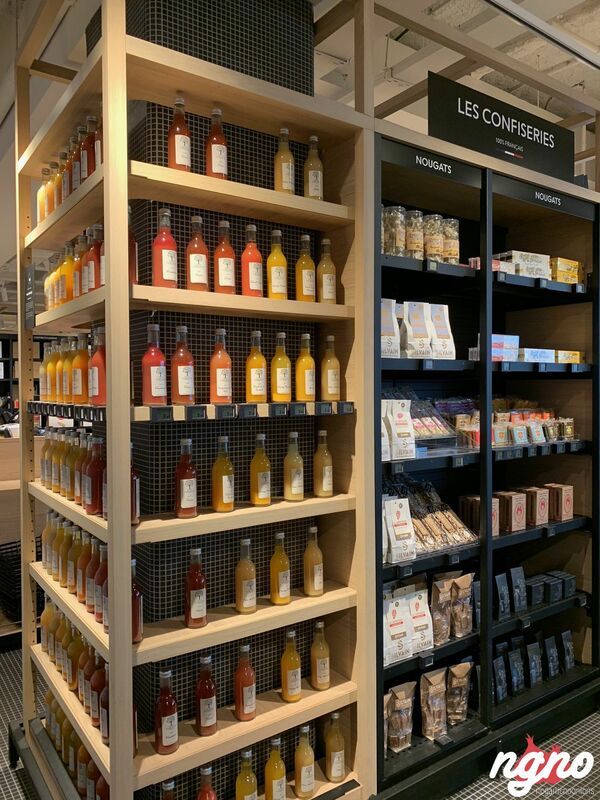 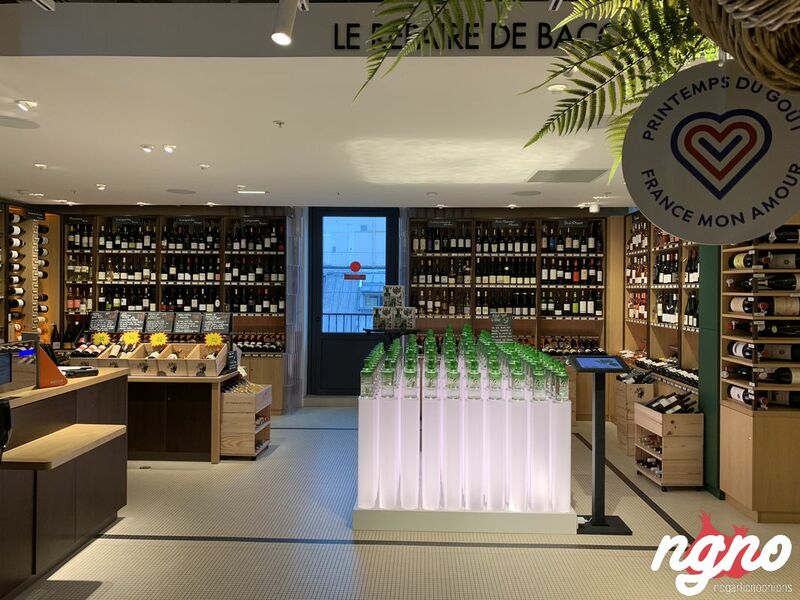 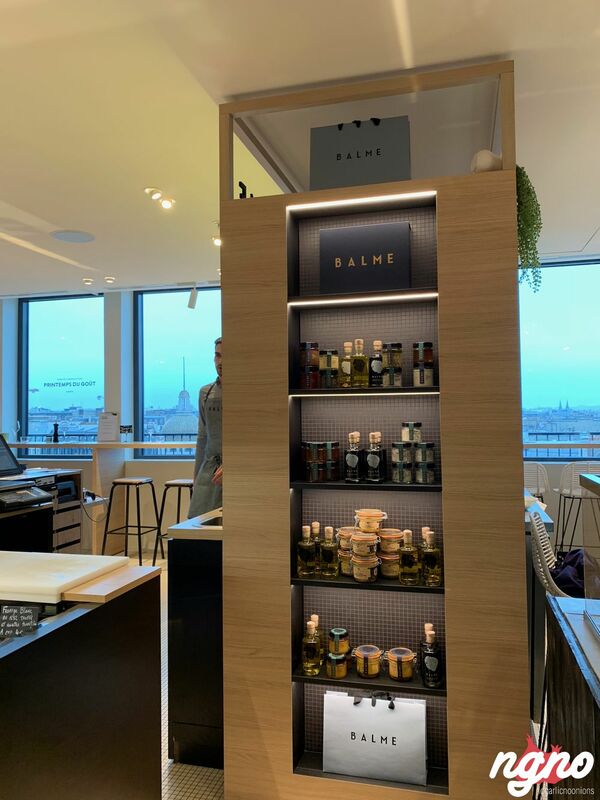 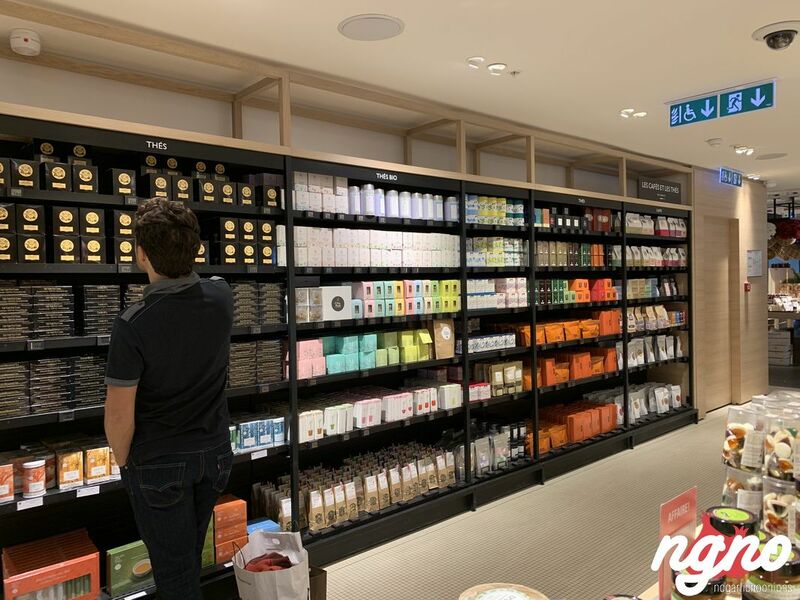 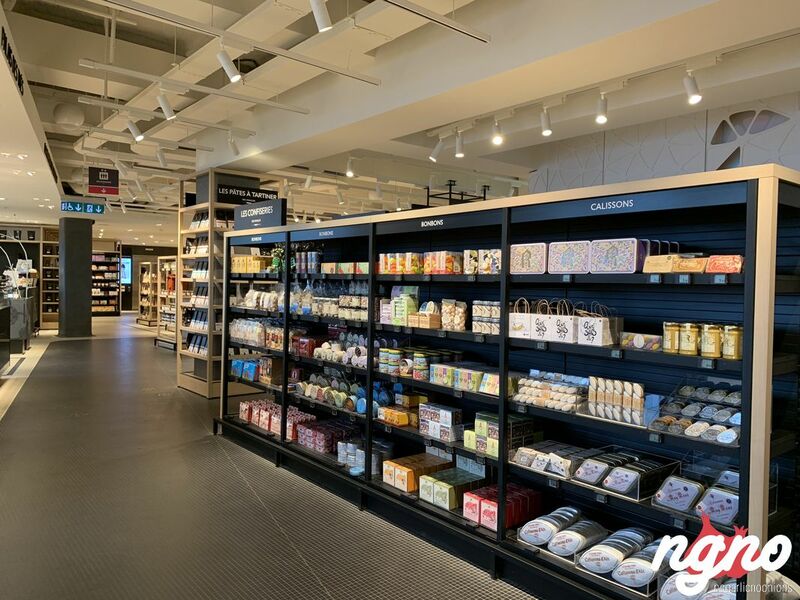 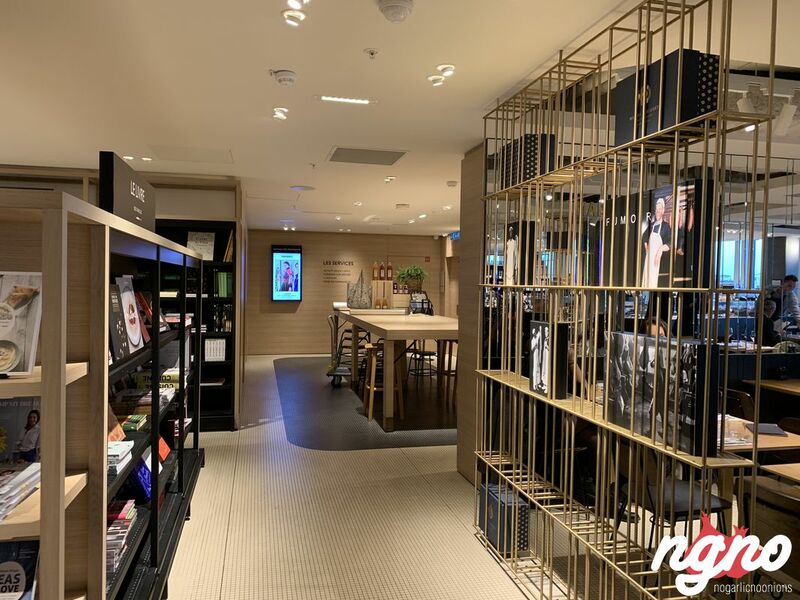 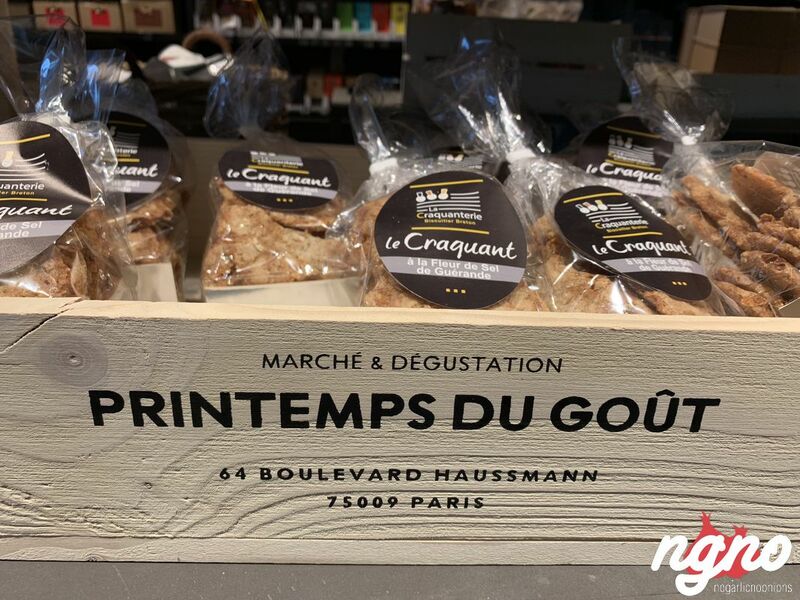 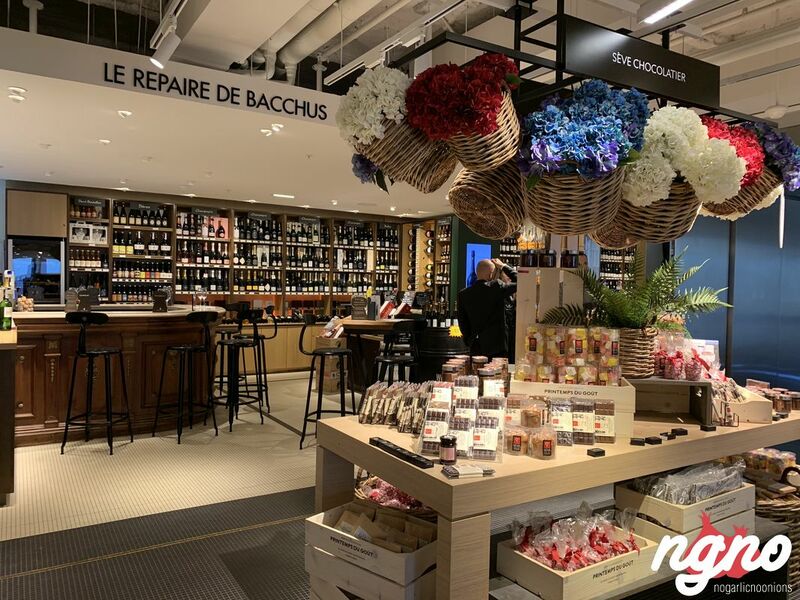 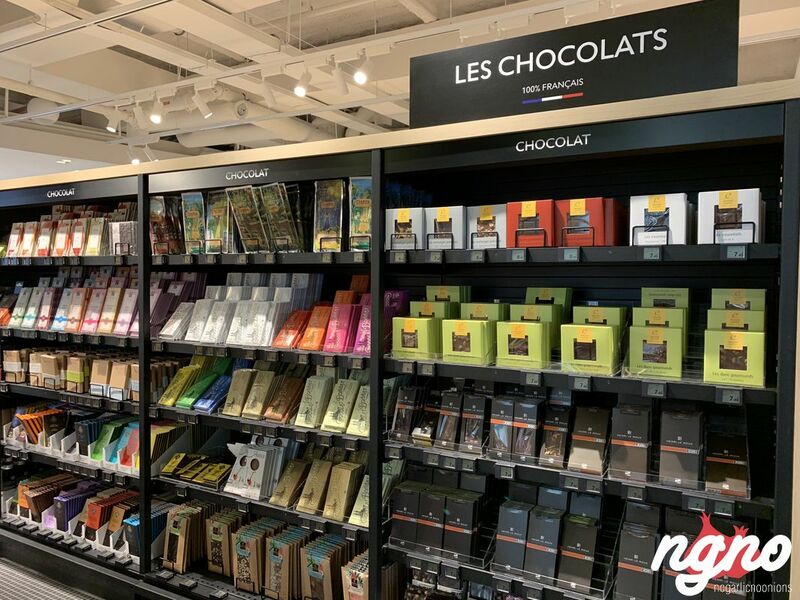 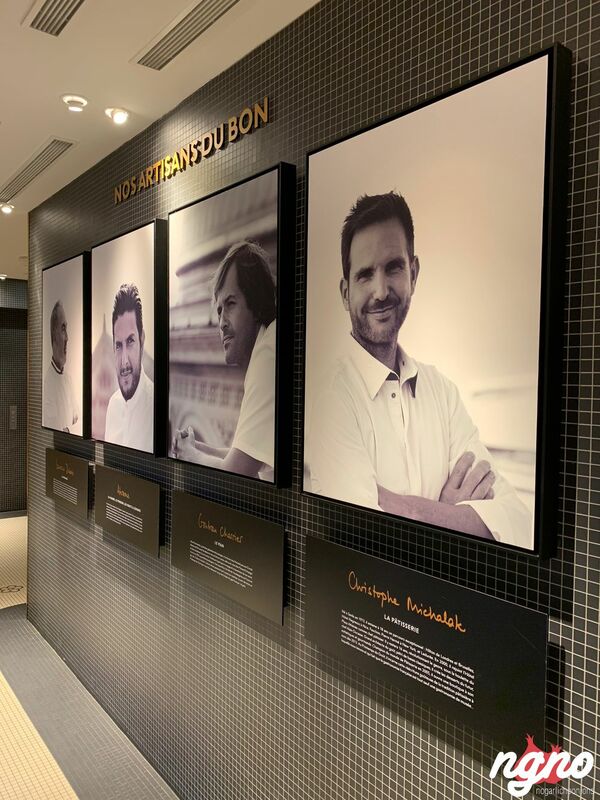 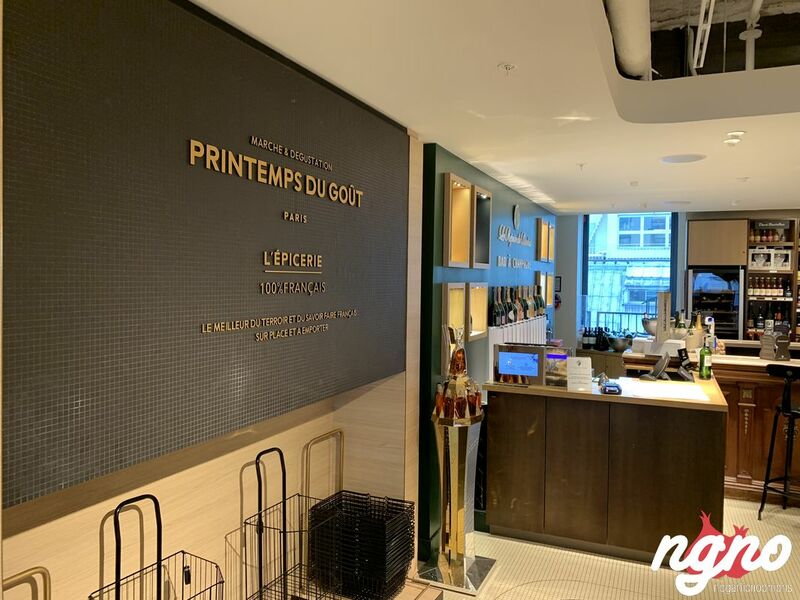 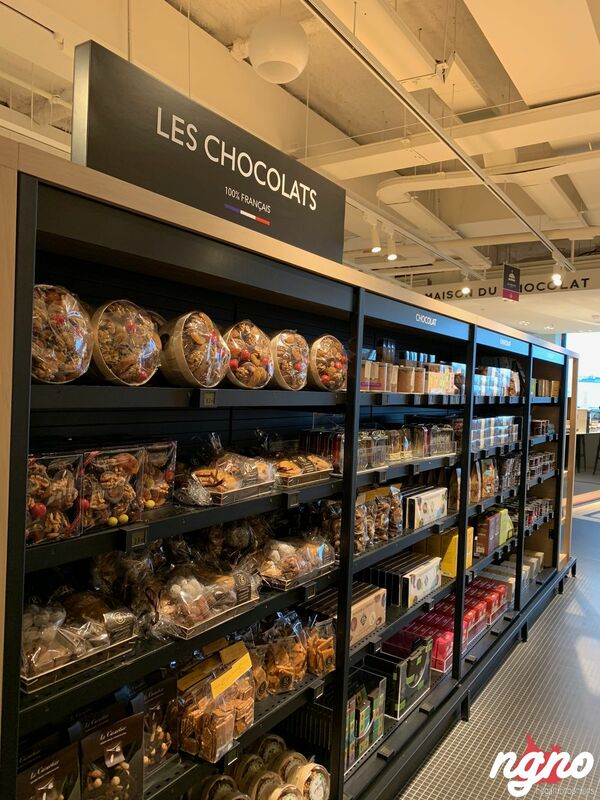 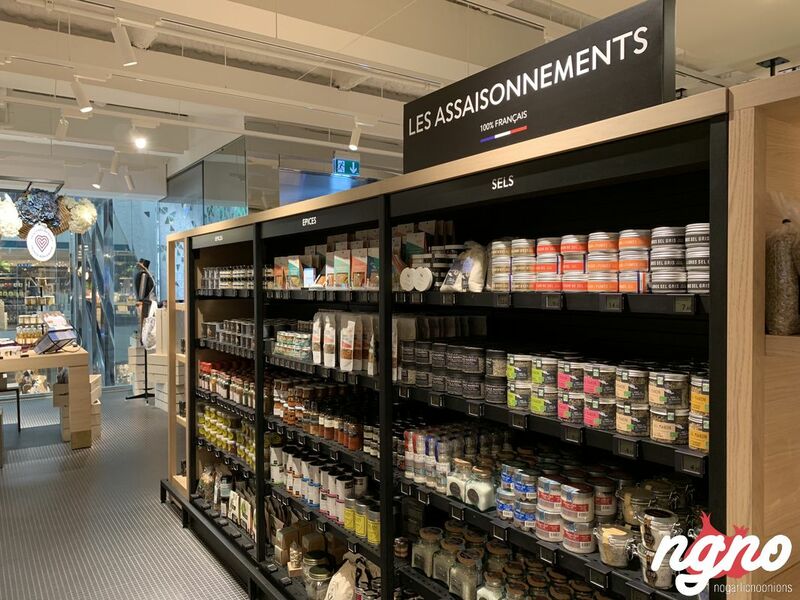 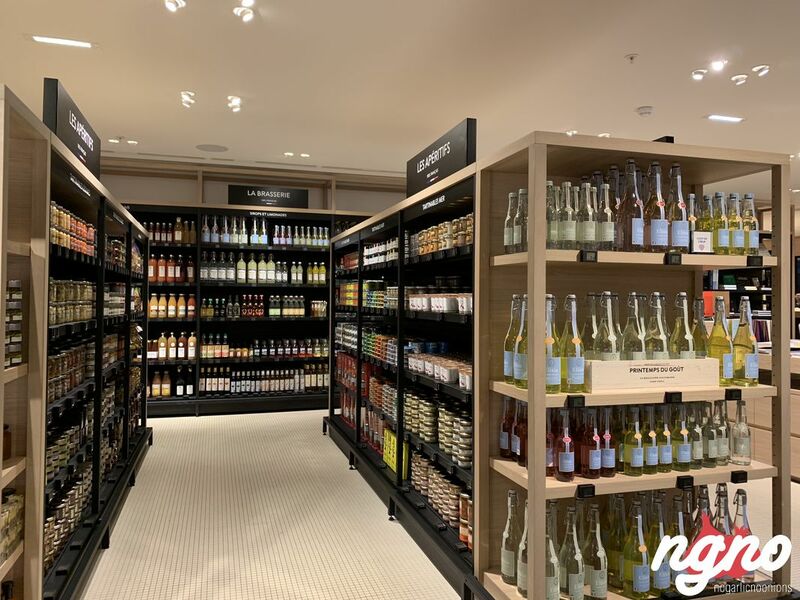 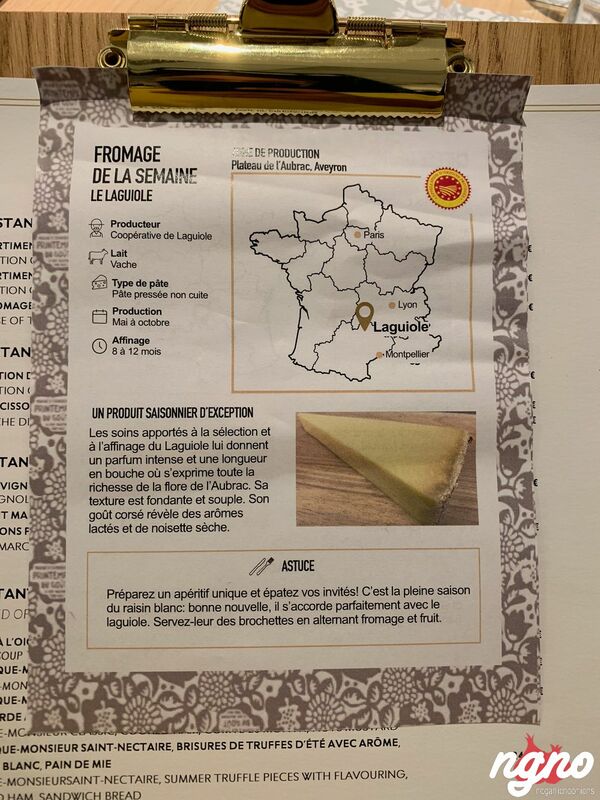 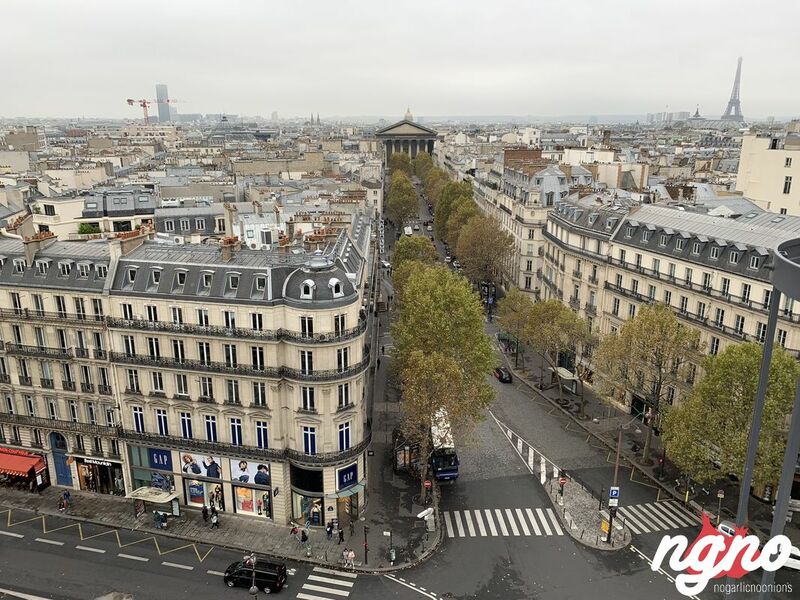 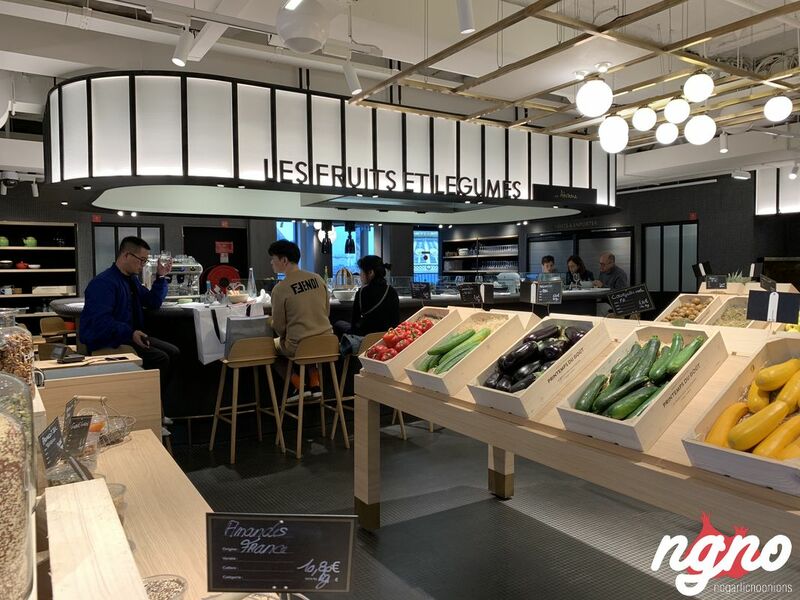 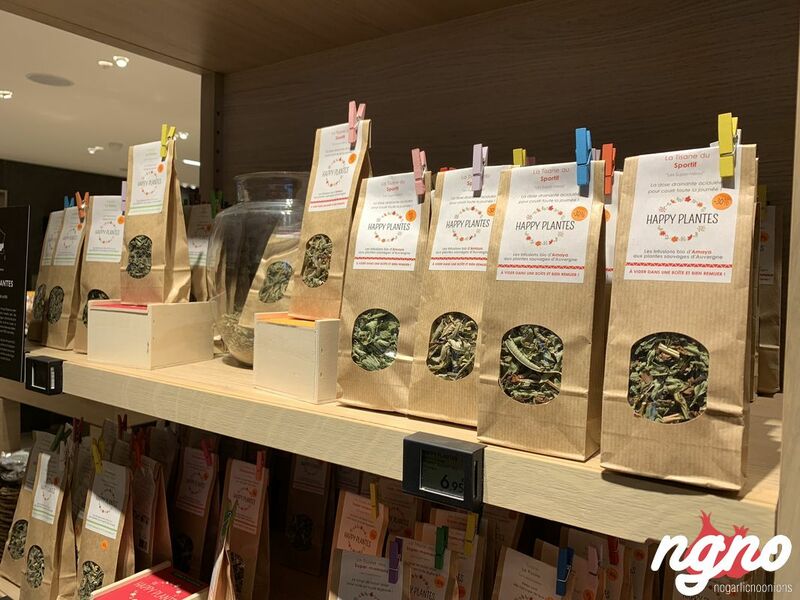 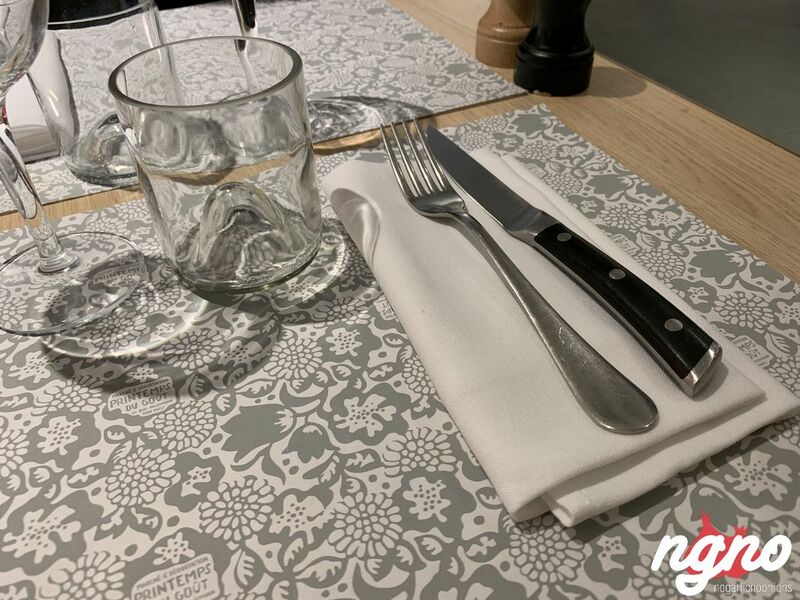 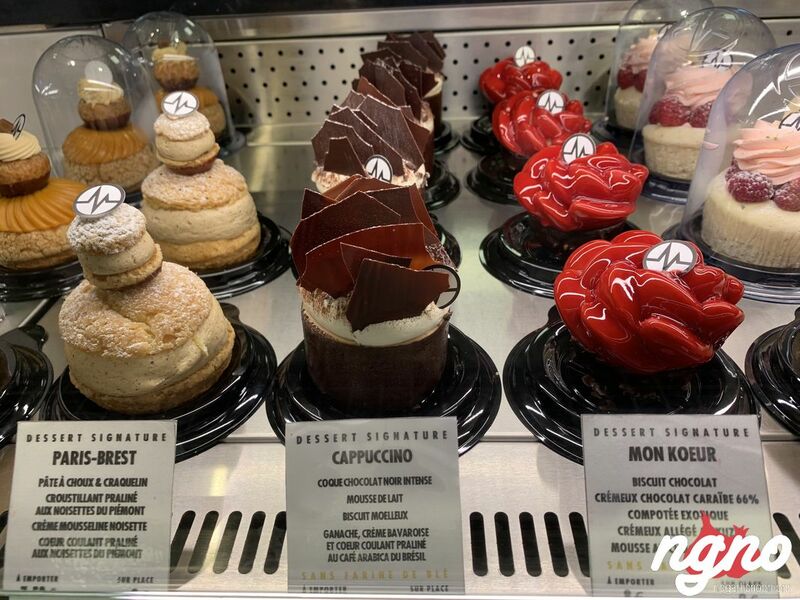 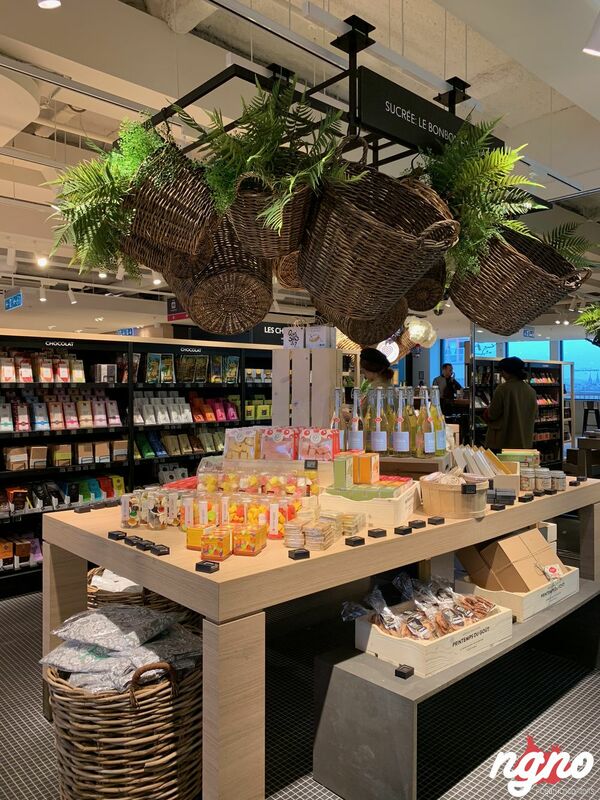 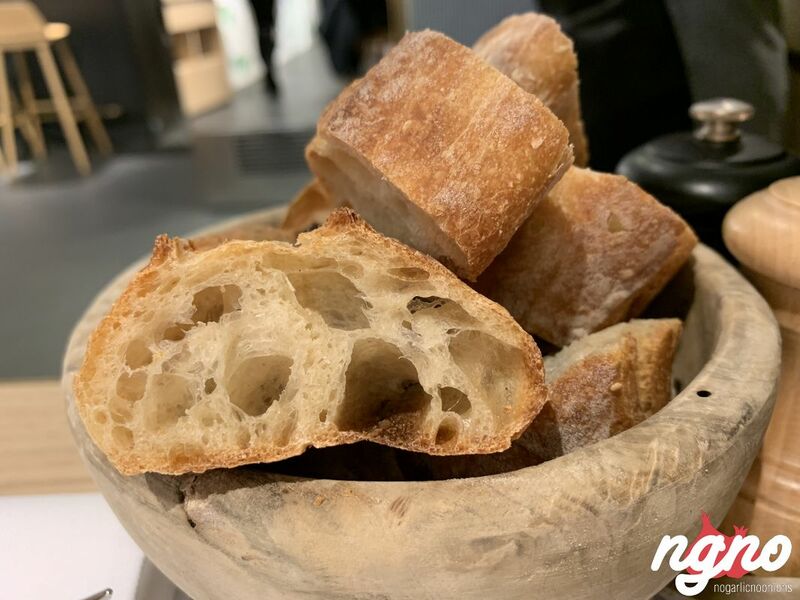 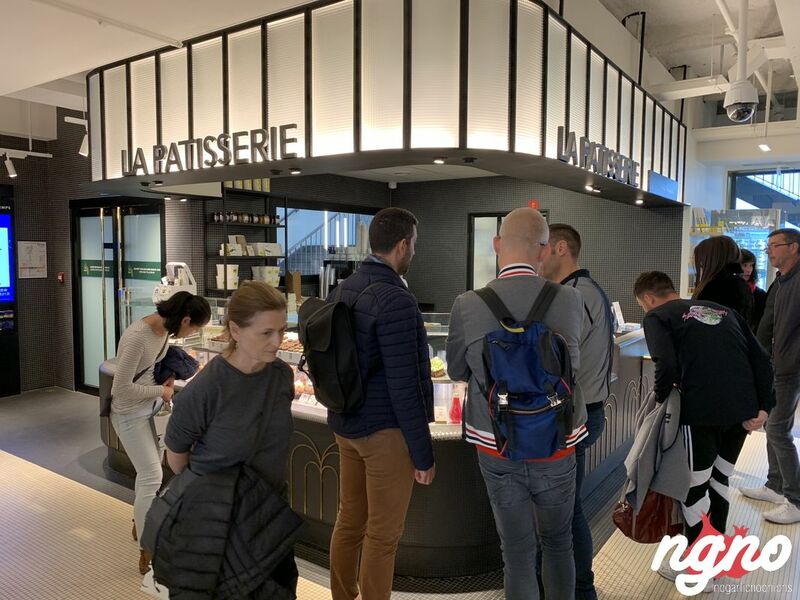 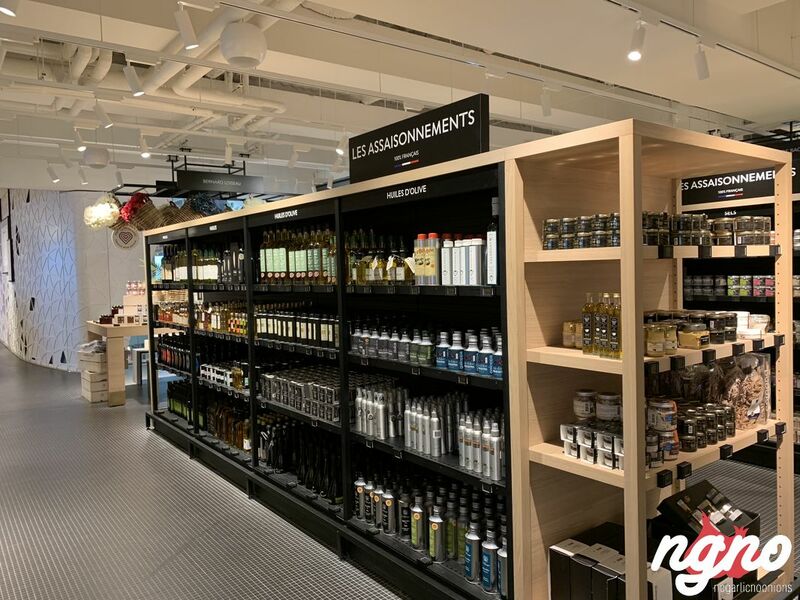 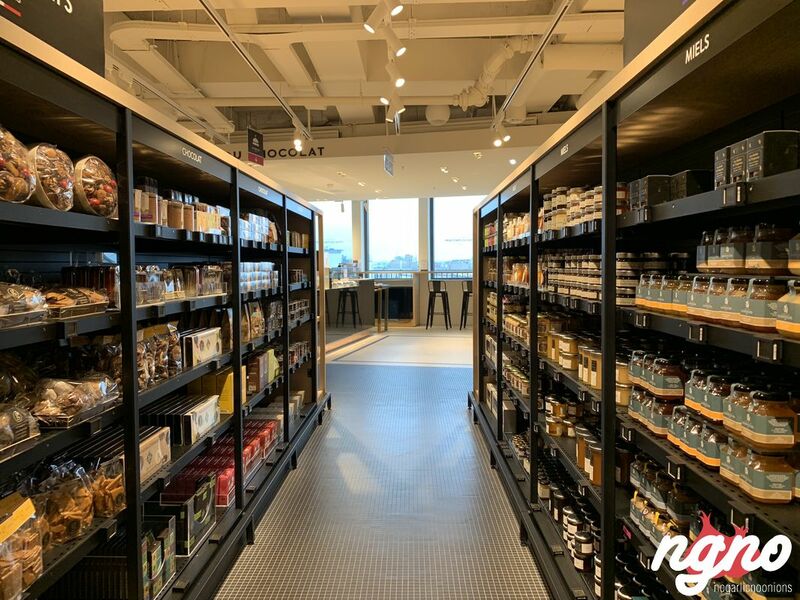 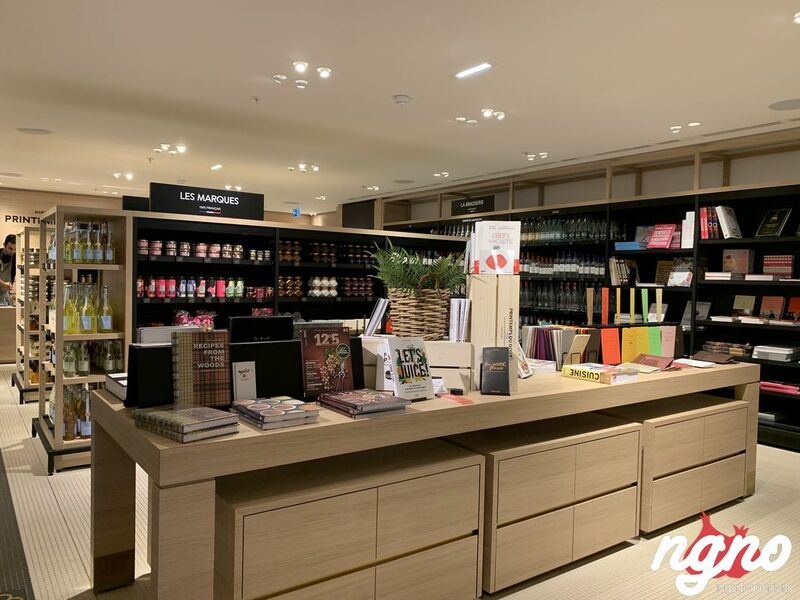 Located on the seventh and eighth floor of Printemps Paris, a new section dedicated entirely to food has been inaugurated. 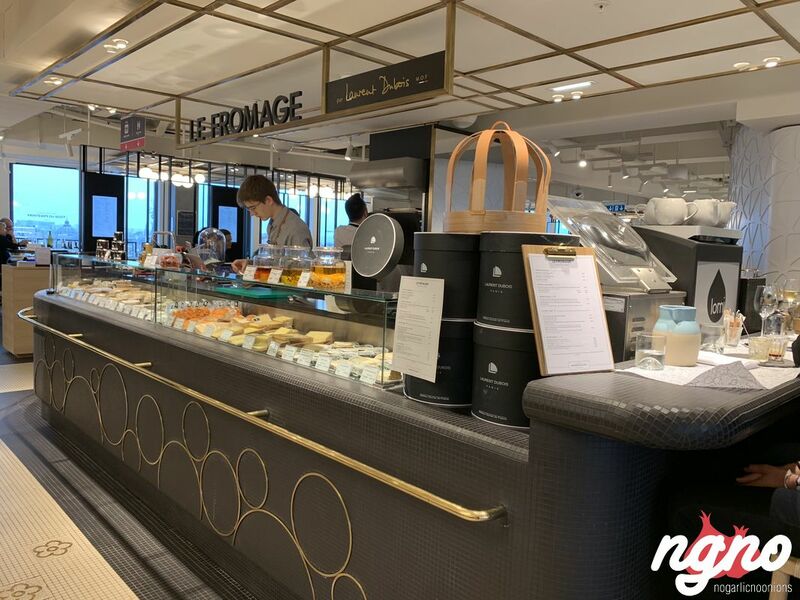 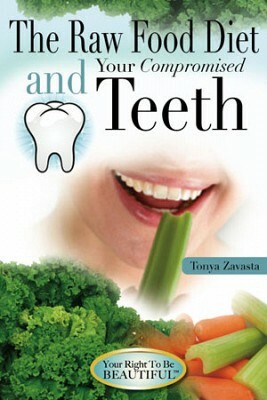 High-end, classy, gourmet and upscale, the two floors serve only French products. 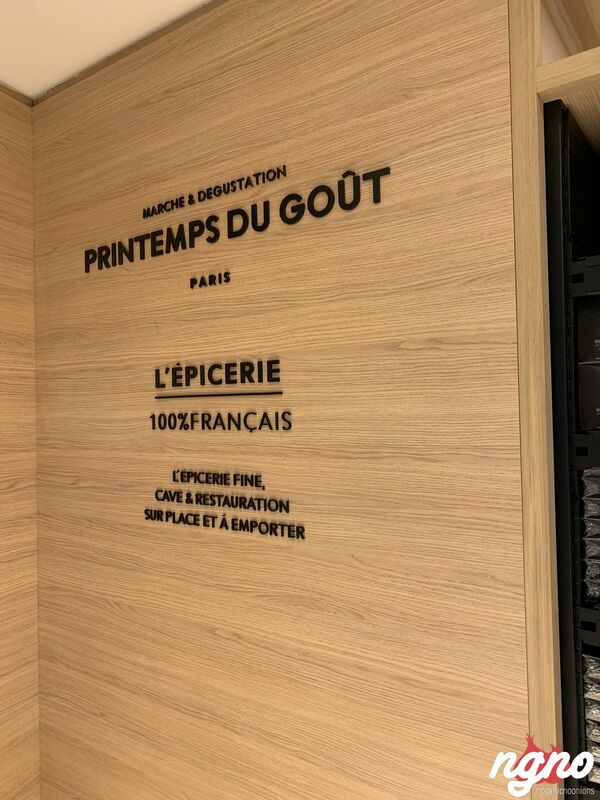 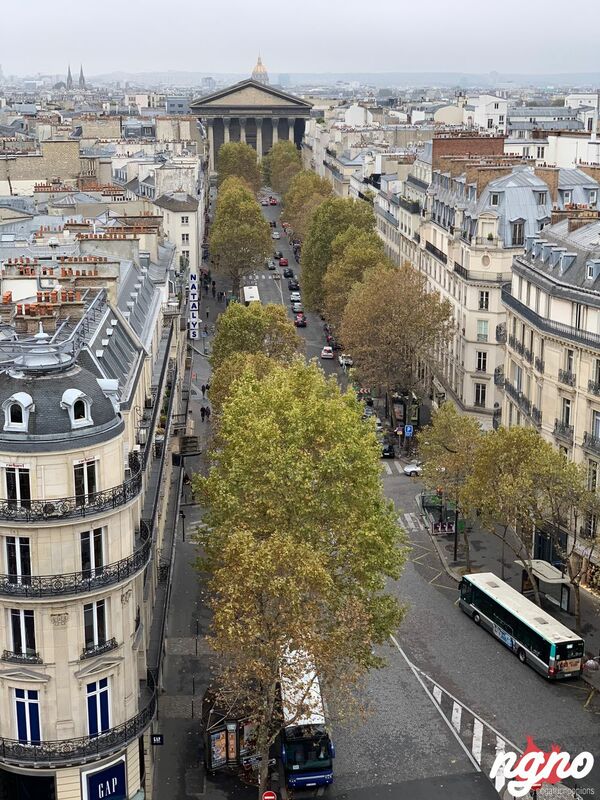 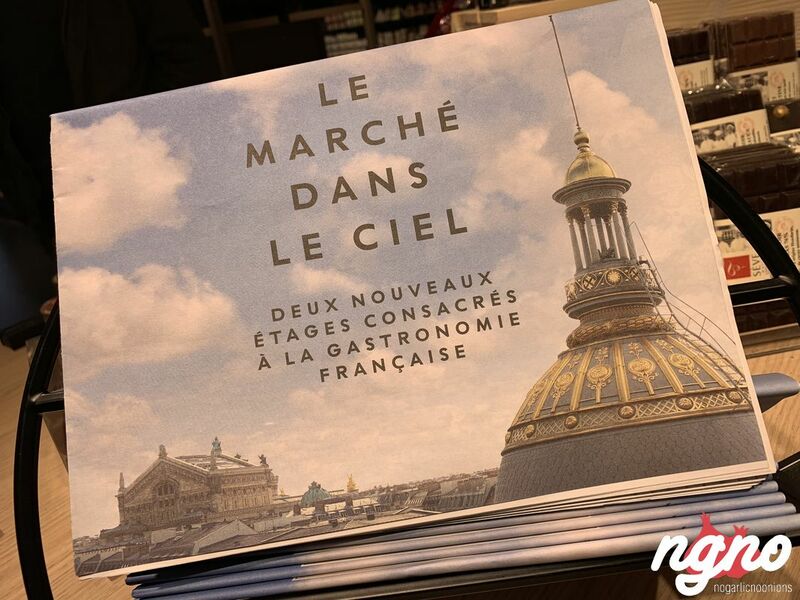 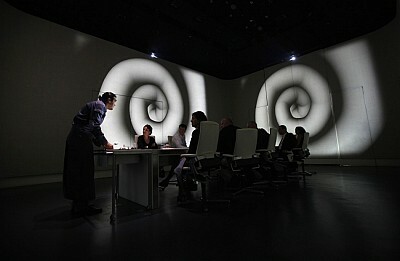 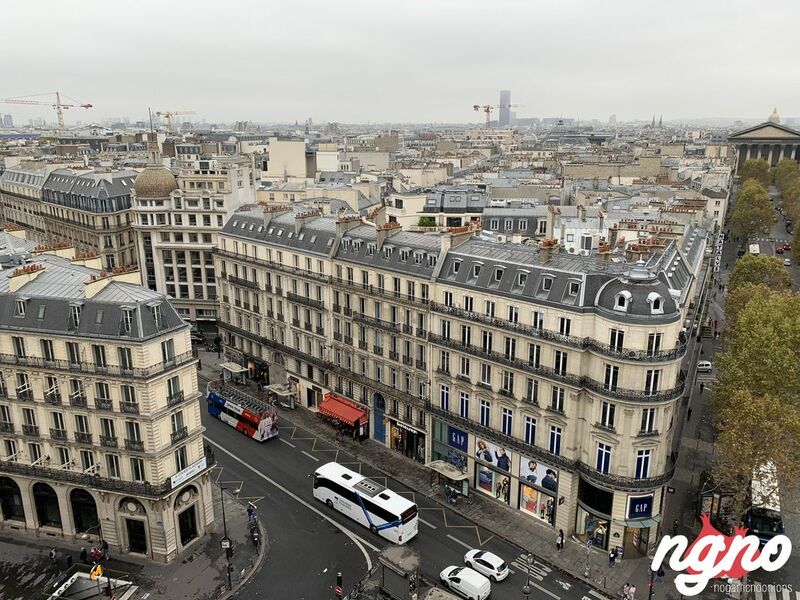 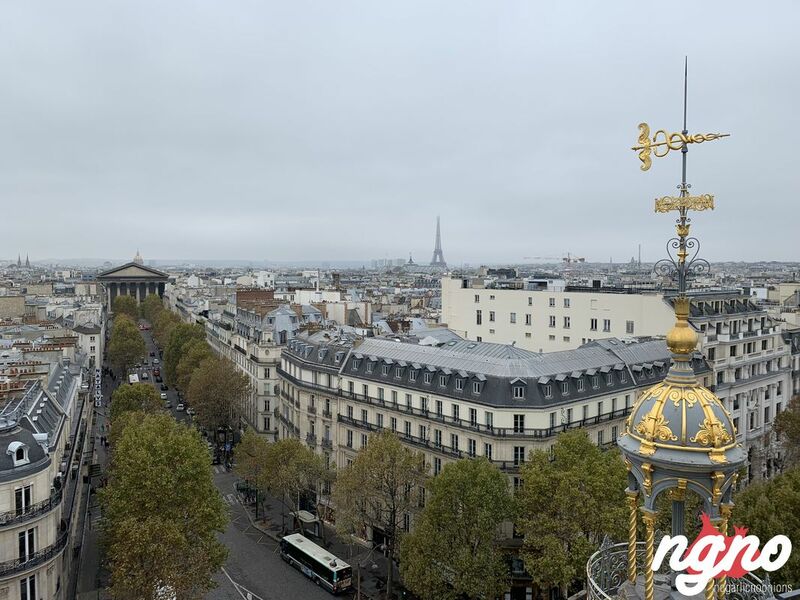 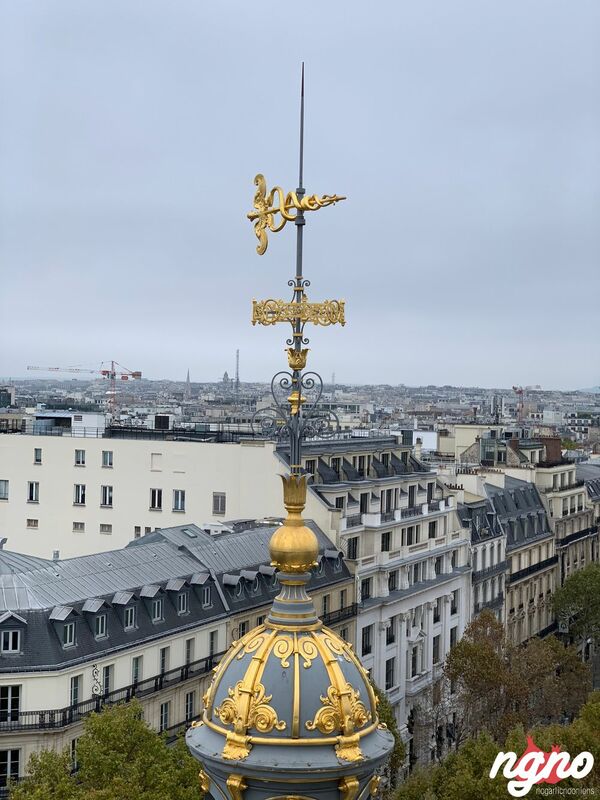 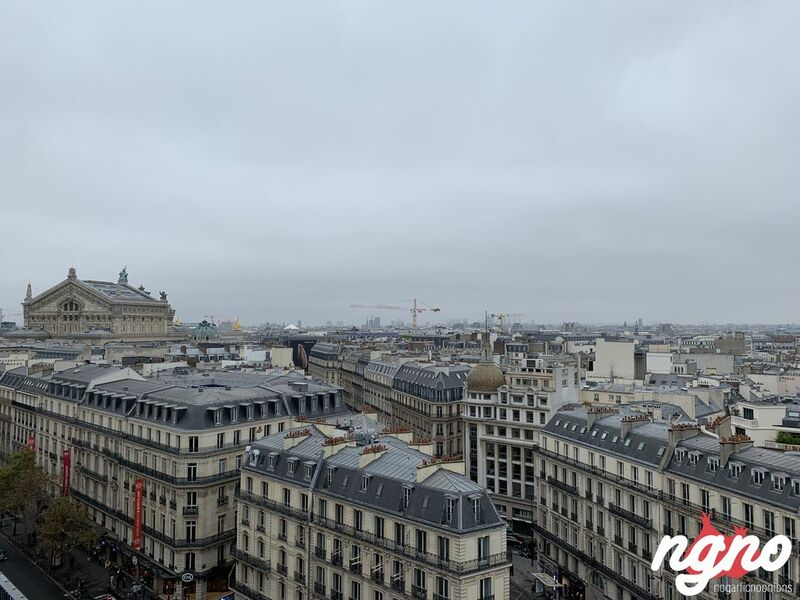 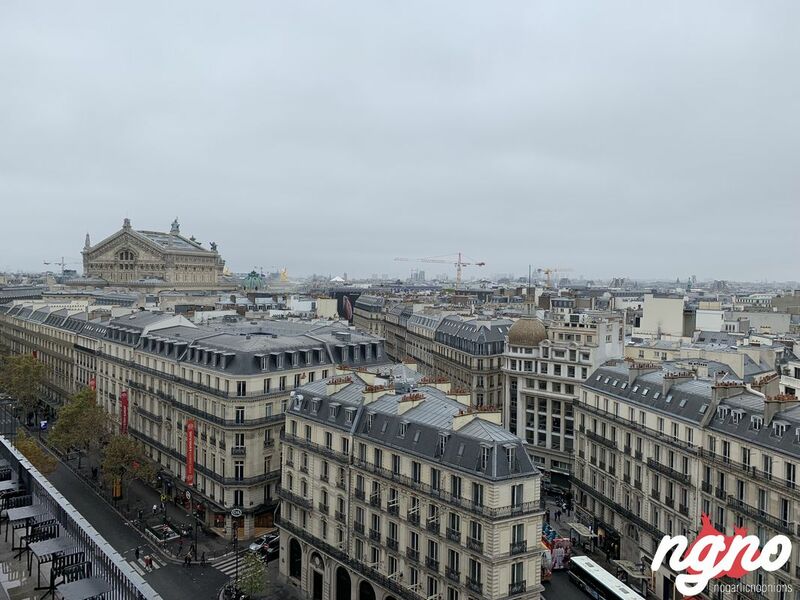 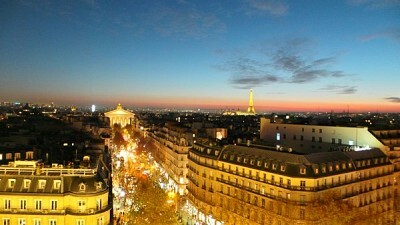 Start on the seventh floor where a complete floor showcases the best of France. 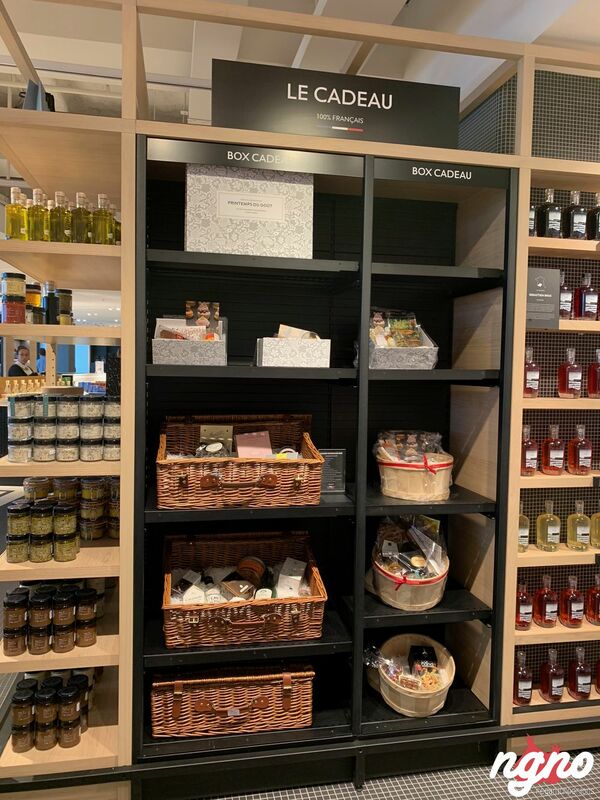 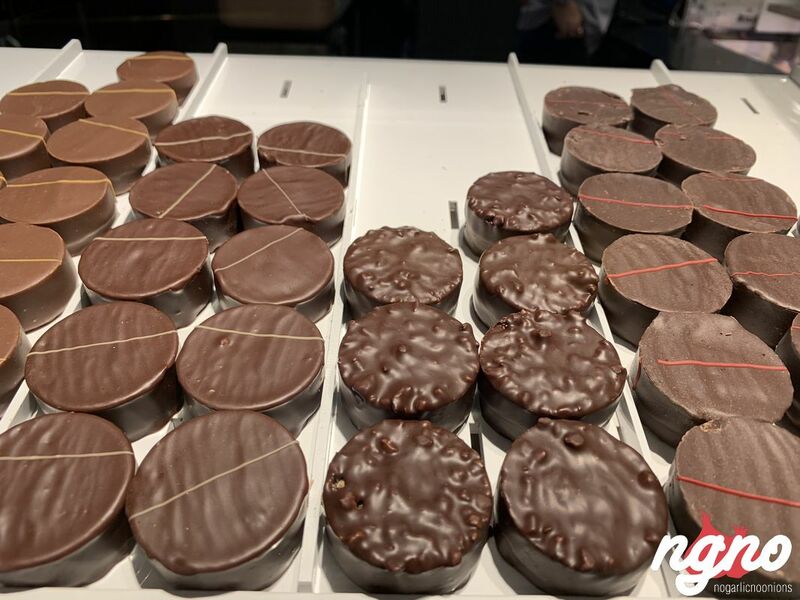 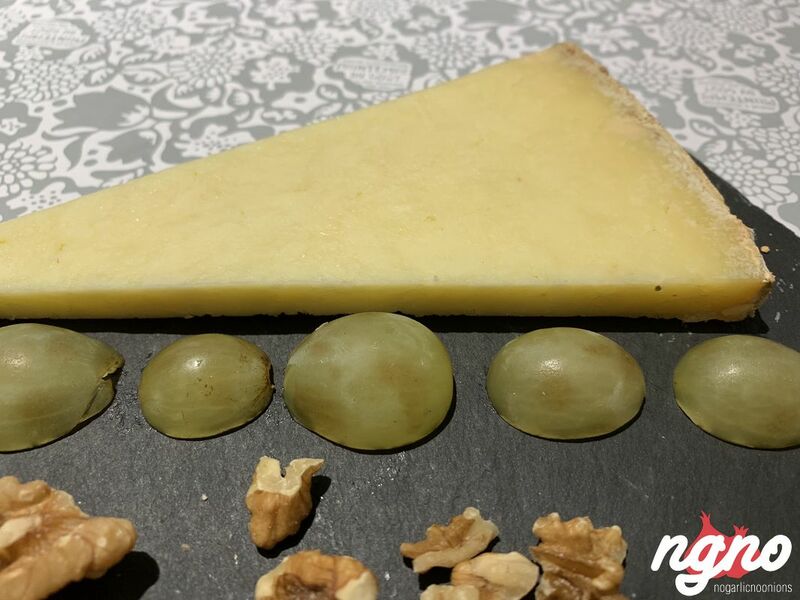 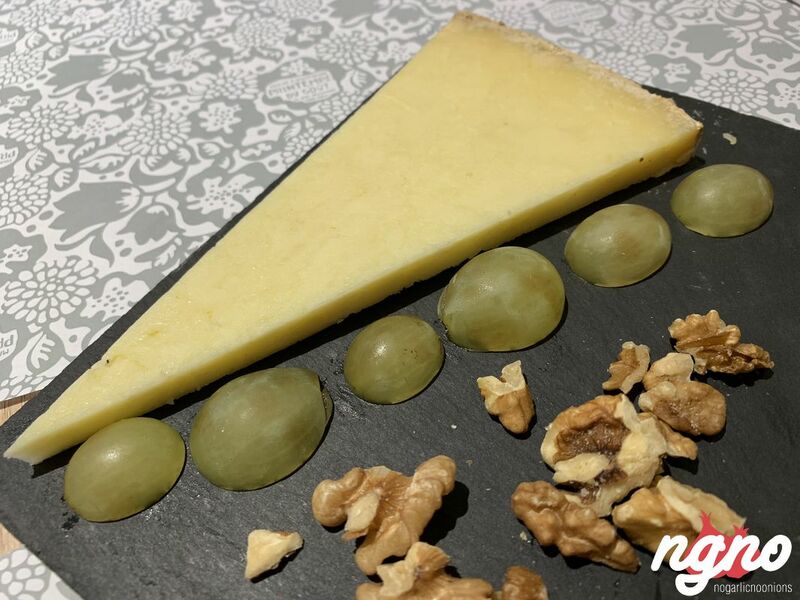 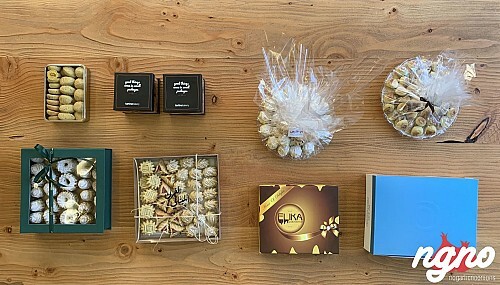 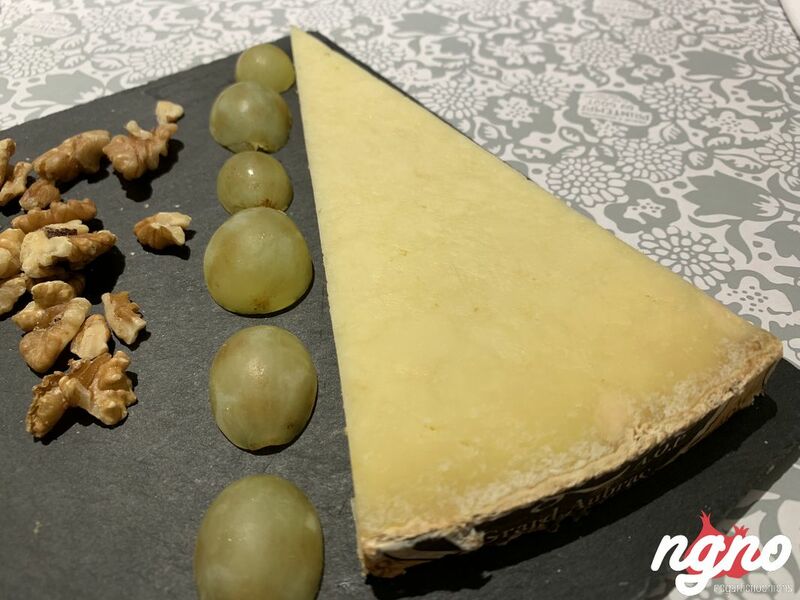 Cheese, jams, chocolates, hams and beyond with a corner for tea, one for chocolate, a salad bar, a truffle bar, smoked salmon and a restaurant. 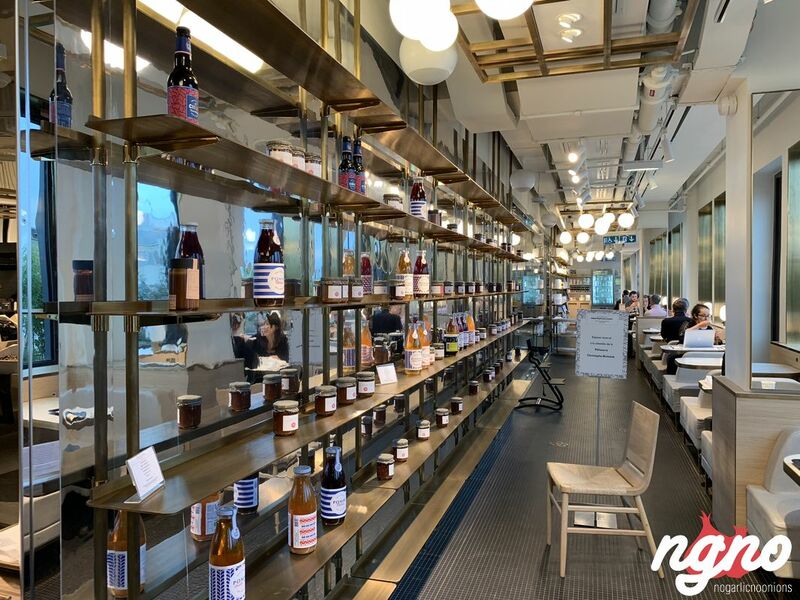 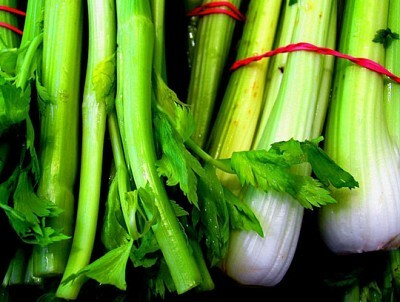 Check out the photos, a handful of them showing every corner of this heaven for foodies. 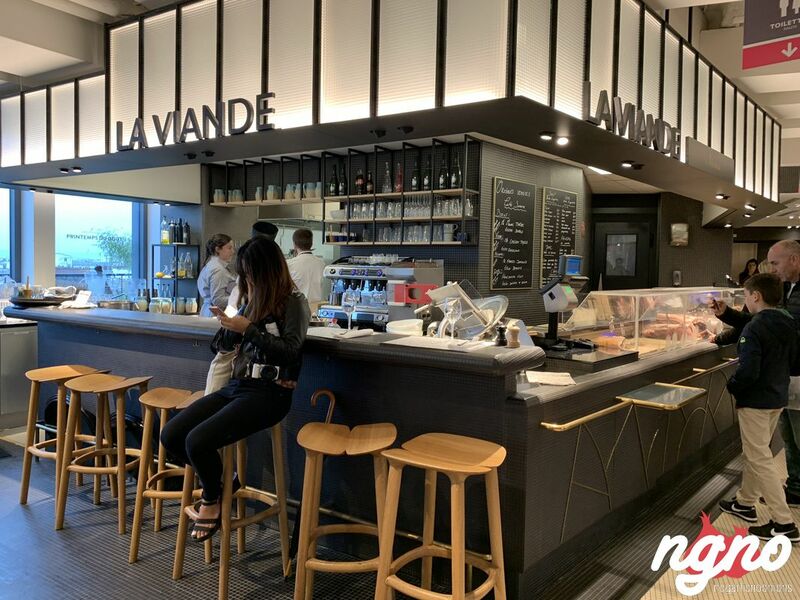 I personally prefer Lafayette Gourmet which is more casual, less tight-up and surely less snobbish. 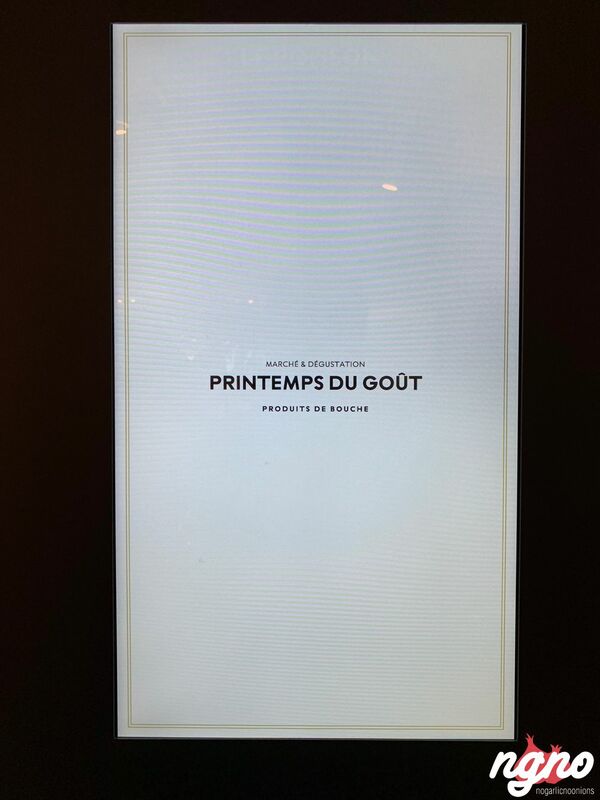 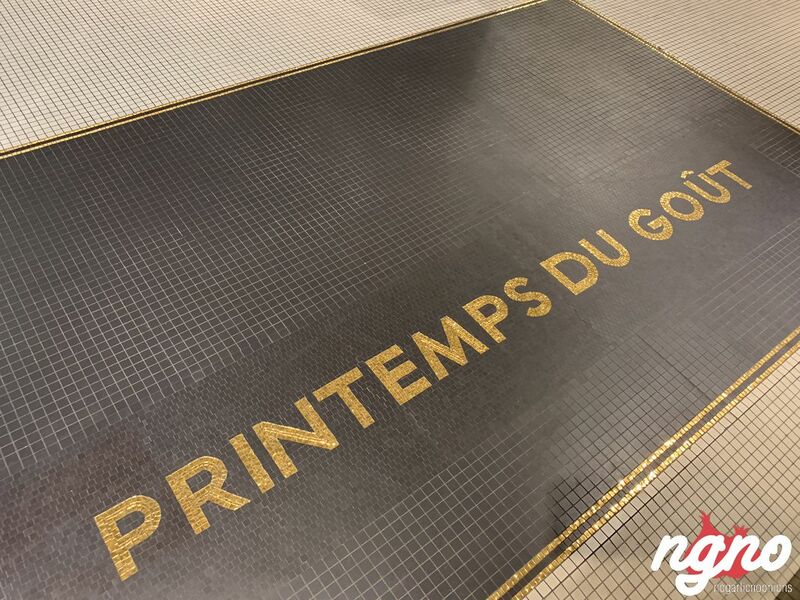 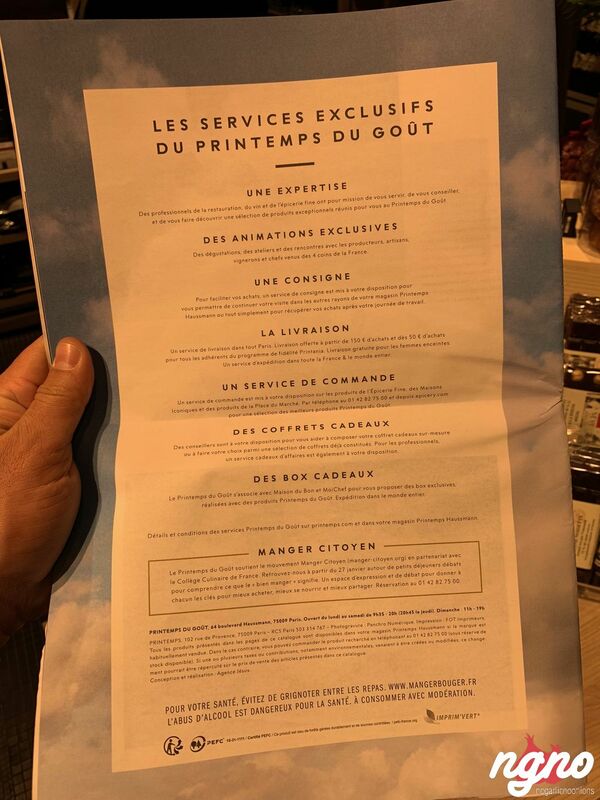 Printemps tried to imitate the same concept with brands that are not as famous as the ones at Lafayette. 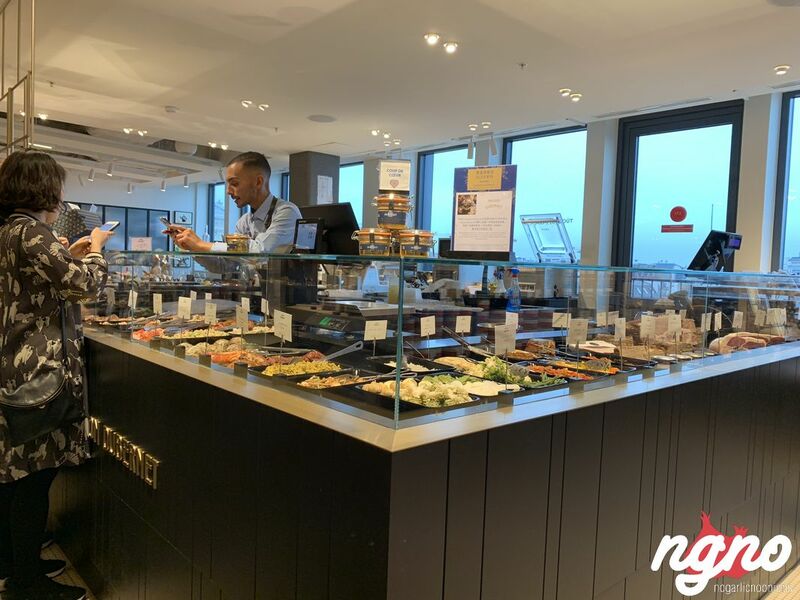 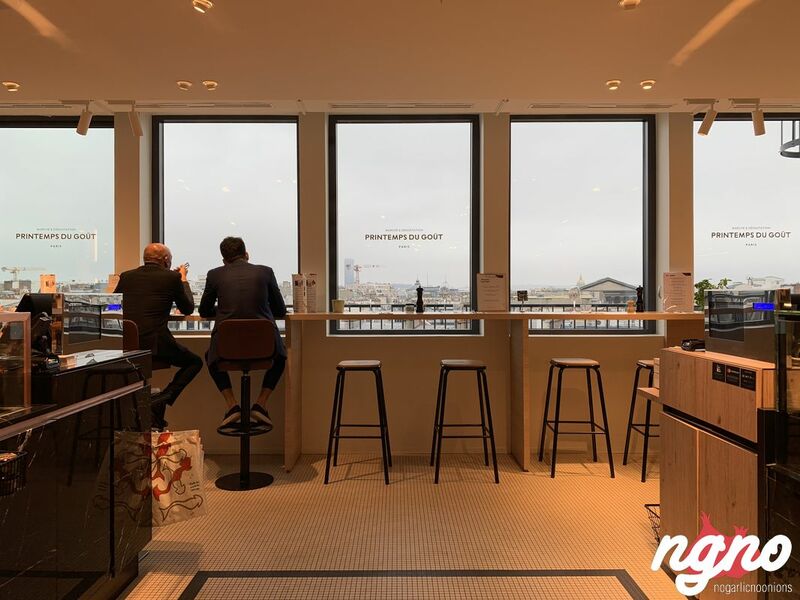 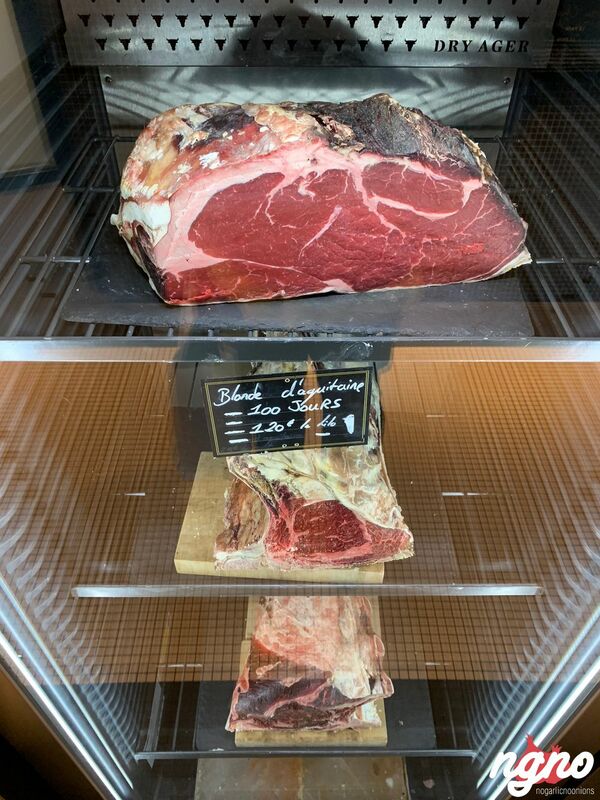 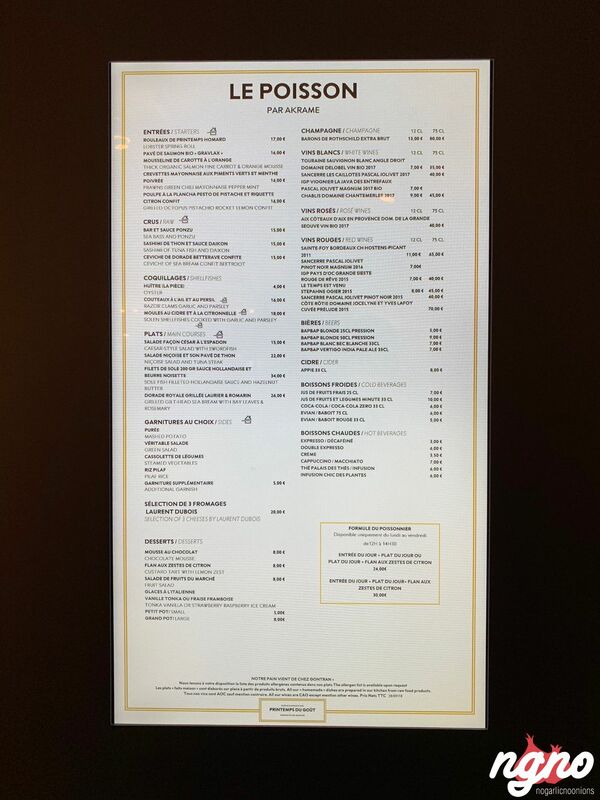 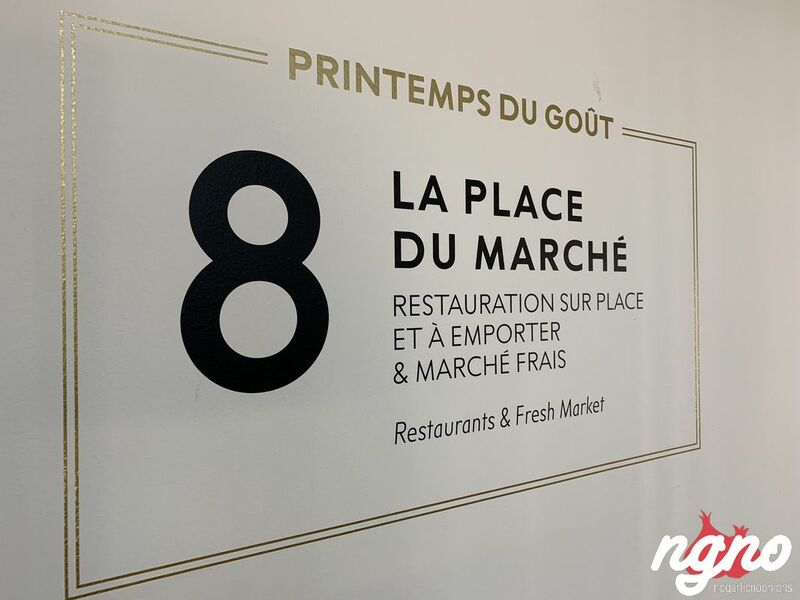 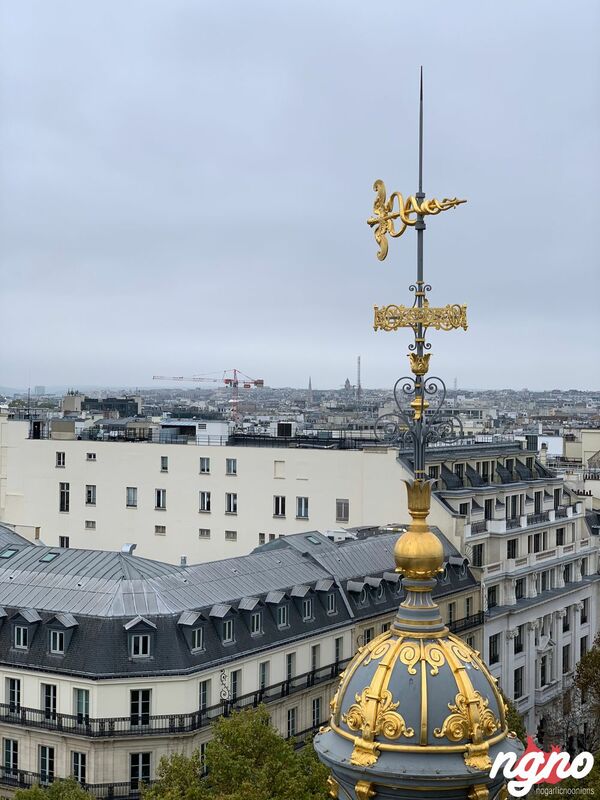 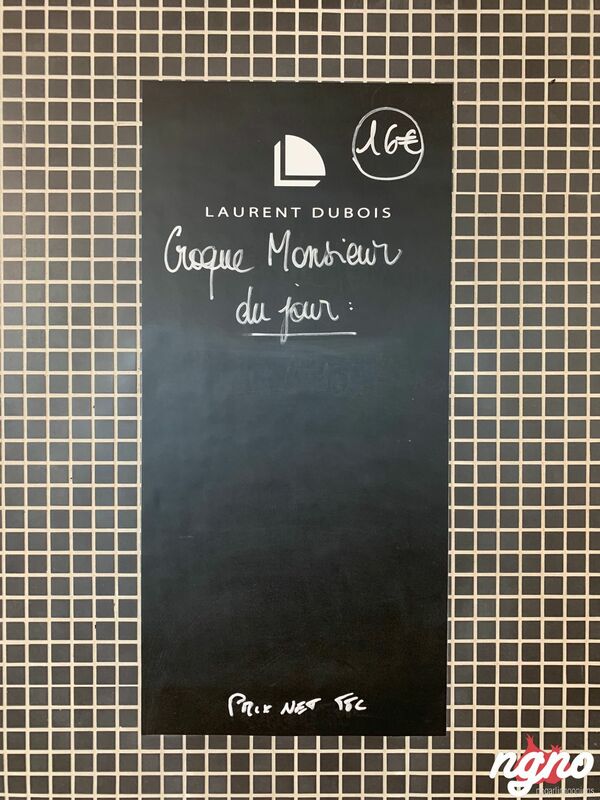 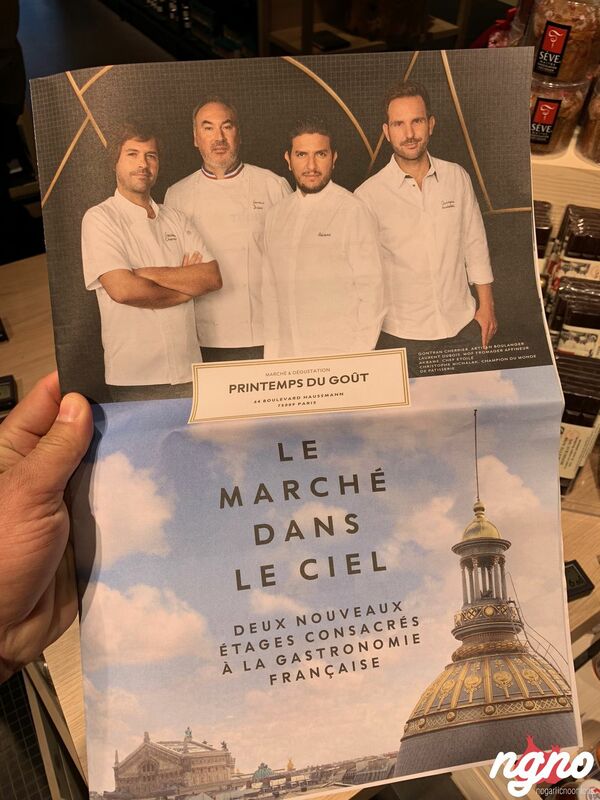 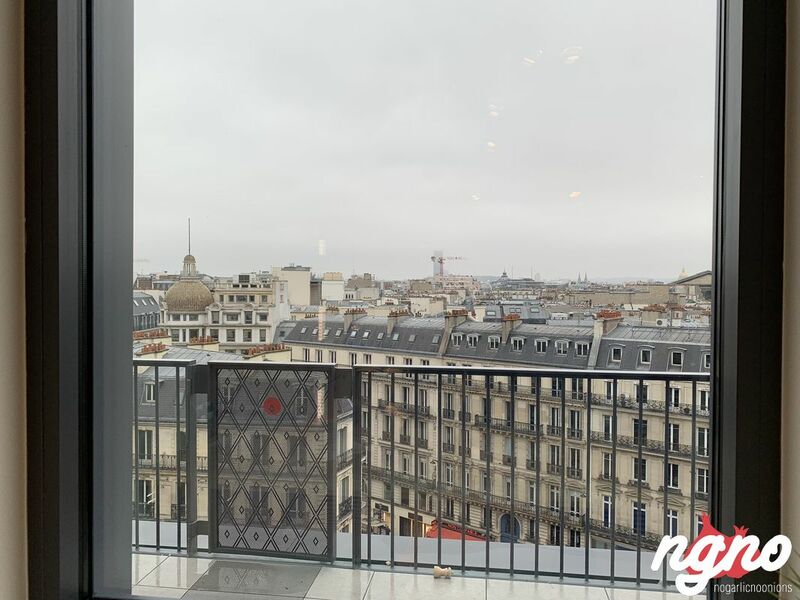 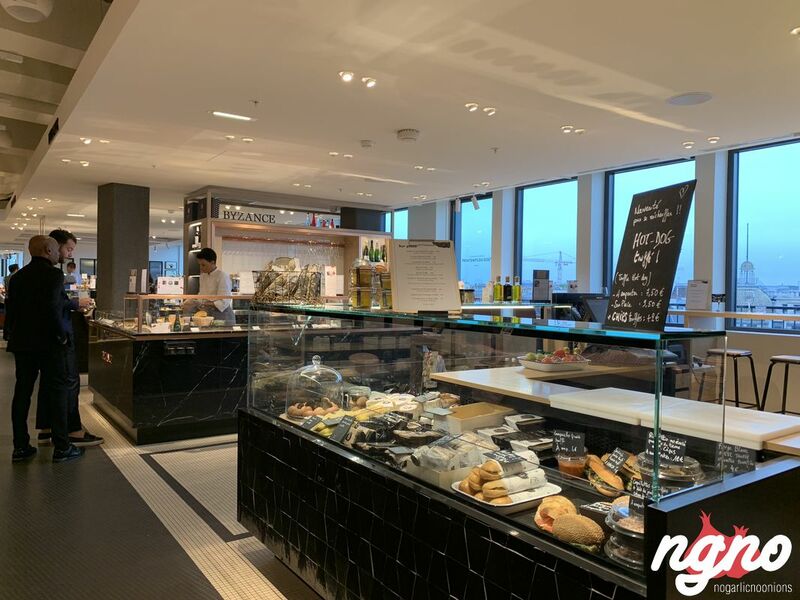 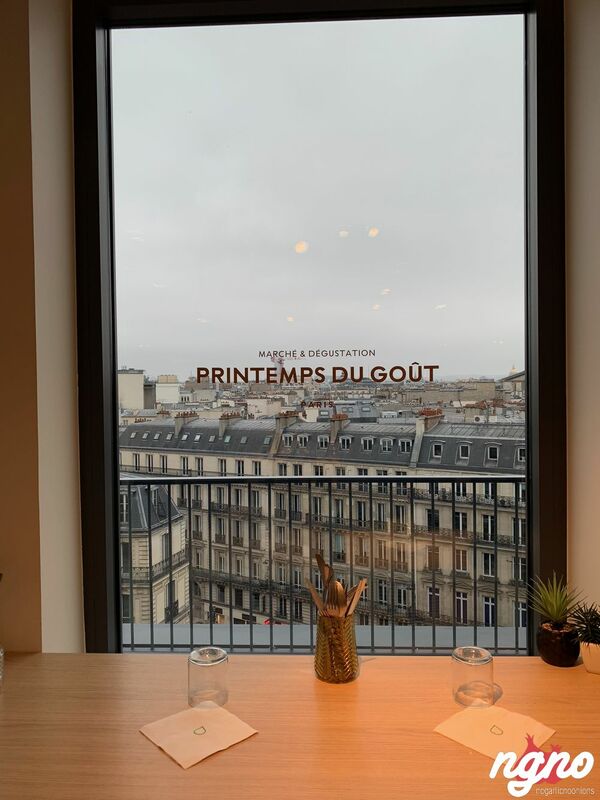 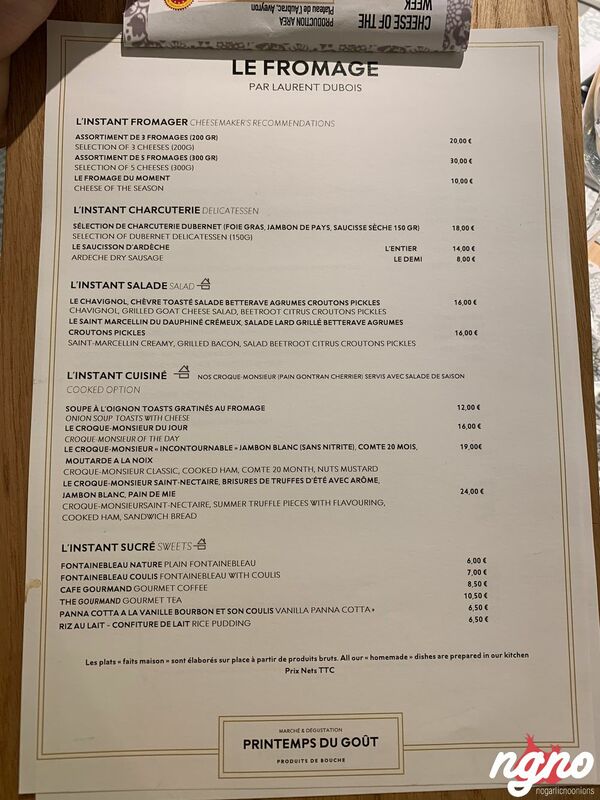 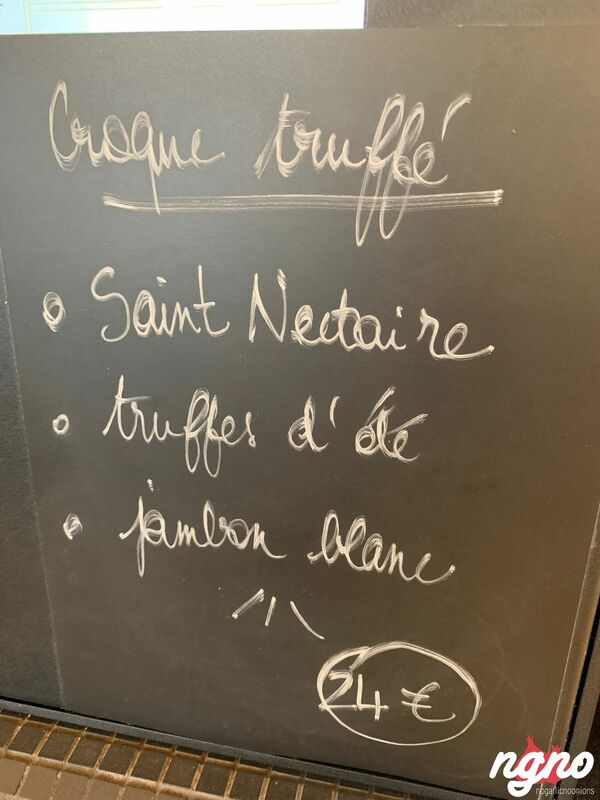 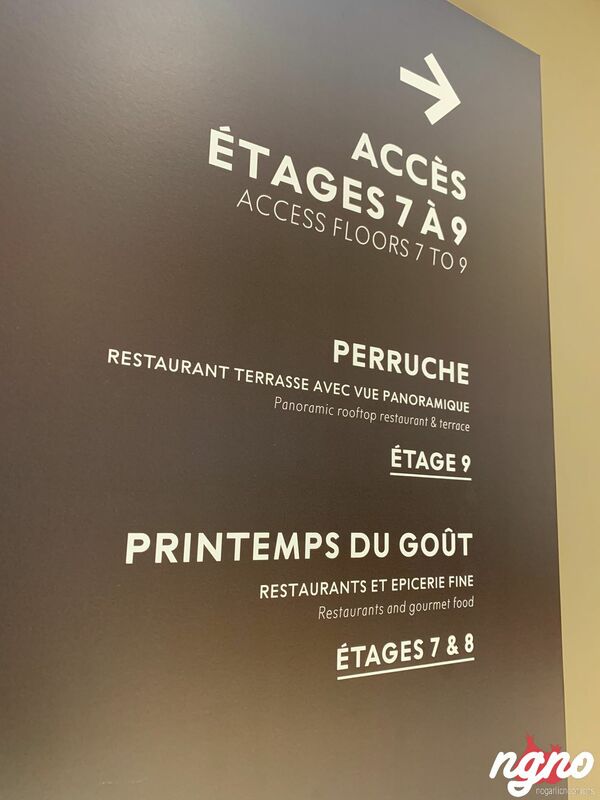 On the eighth floor, choose one of the many restaurants: Akram proposes fish and meat, cheese by Laurent Dubois, pastries by Michallak and bread by Gontreau Cherrier. 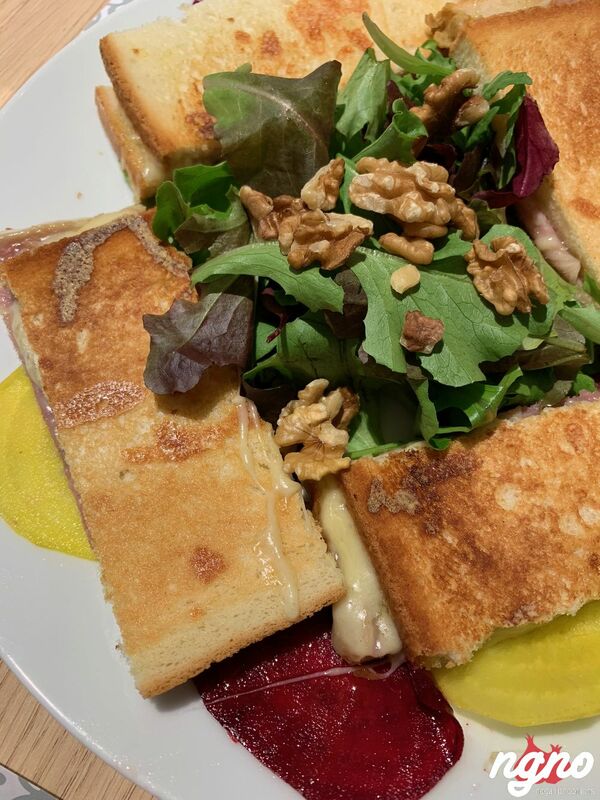 I chose to have lunch at the cheese corner where you can have a salad, cheese, cold cut and two croque monsieur. 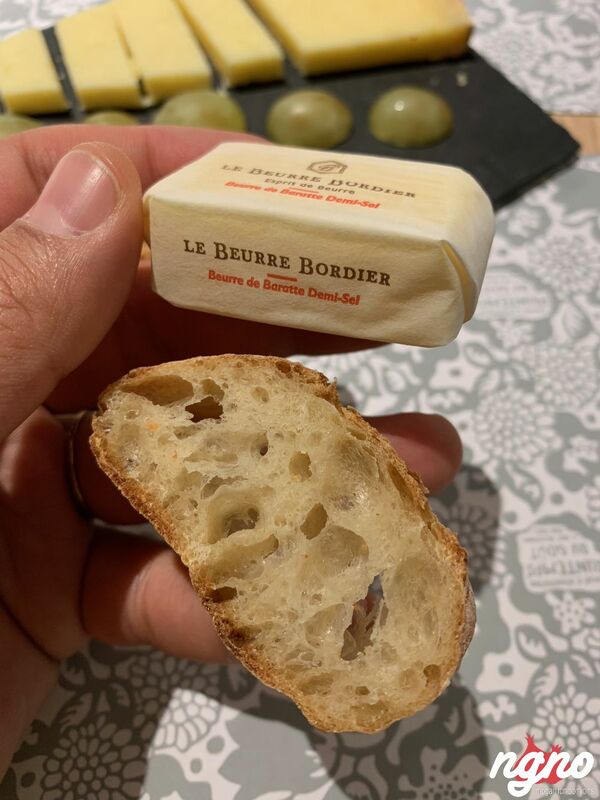 Salted butter, a basket of bread, cheese from the region of Laguiole with a bottle of sparkling water is what I needed on a Sunday afternoon. 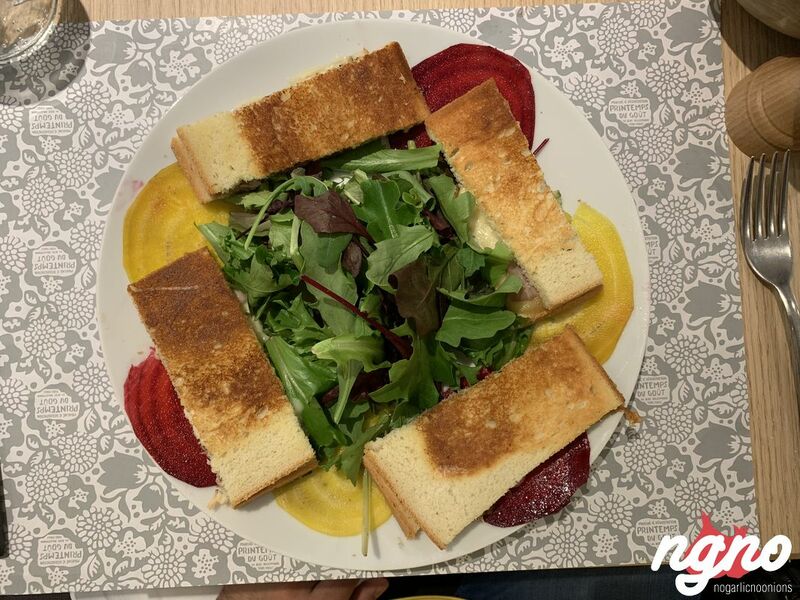 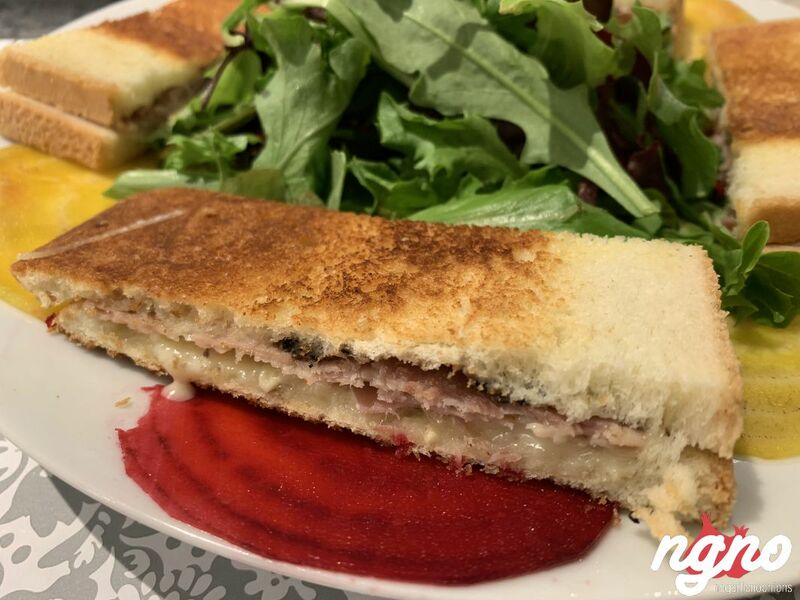 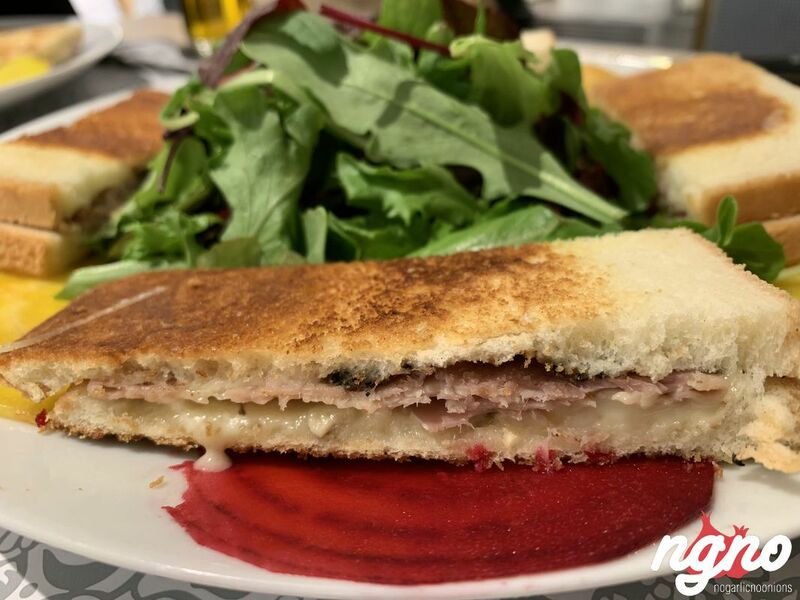 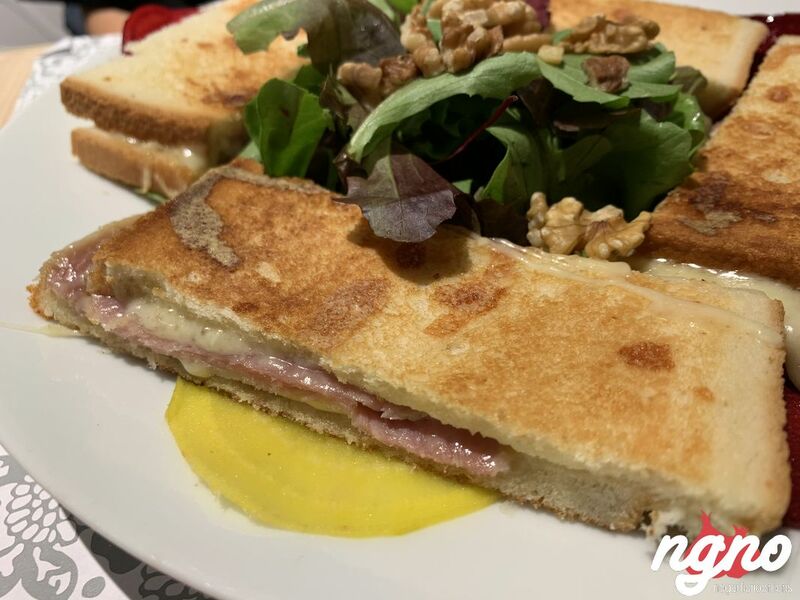 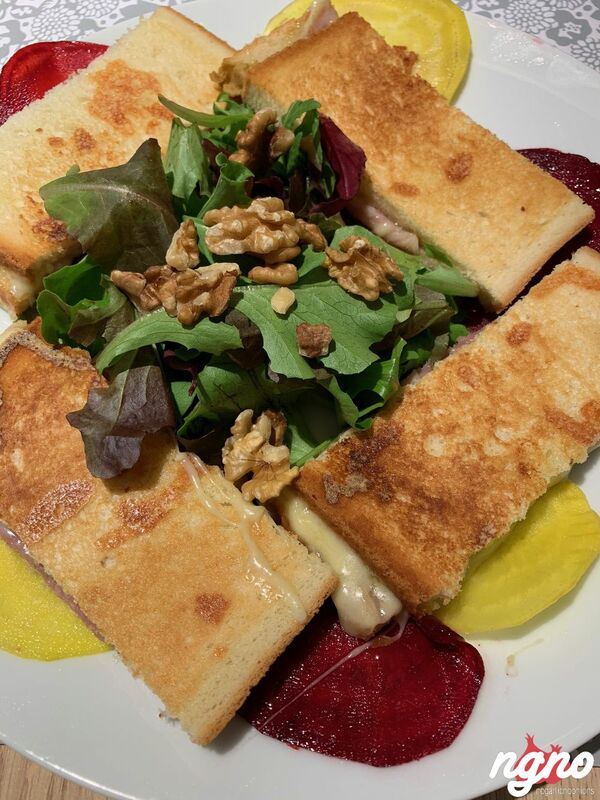 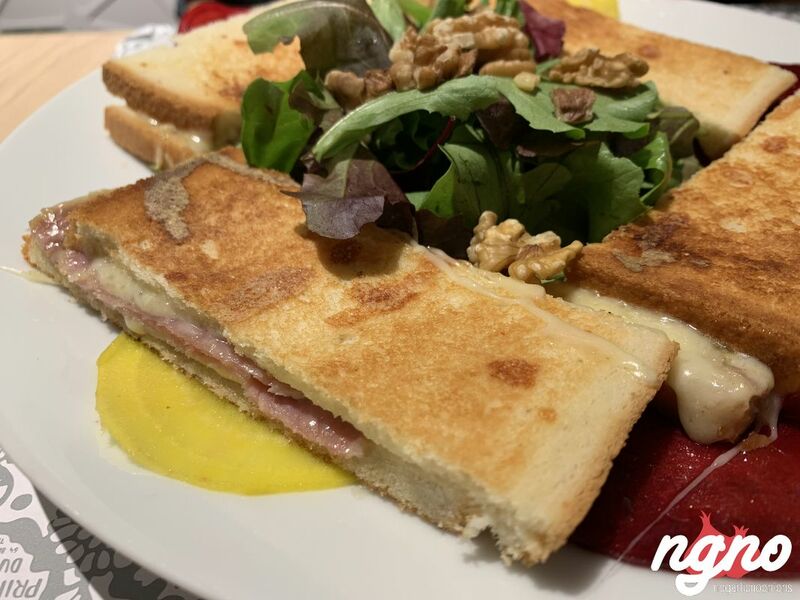 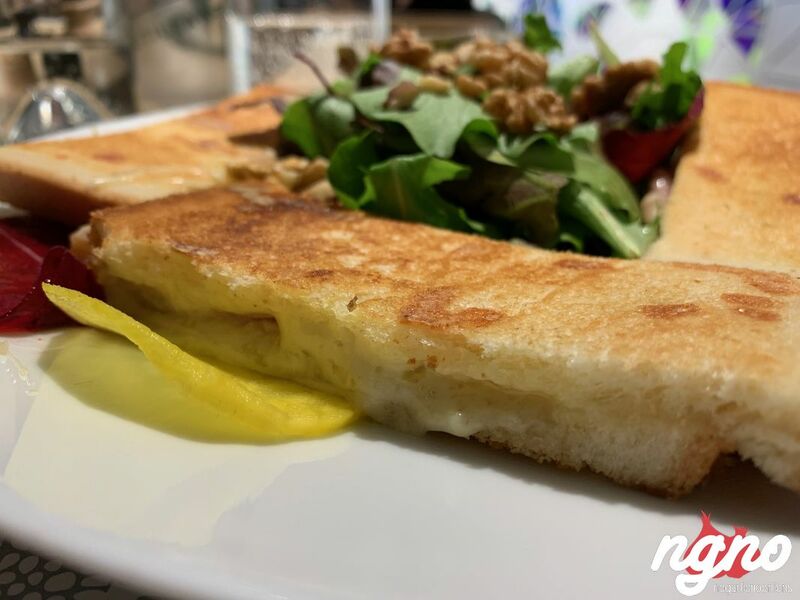 The simplest lunch is about a plate of cheese and a croque monsieur sandwich. 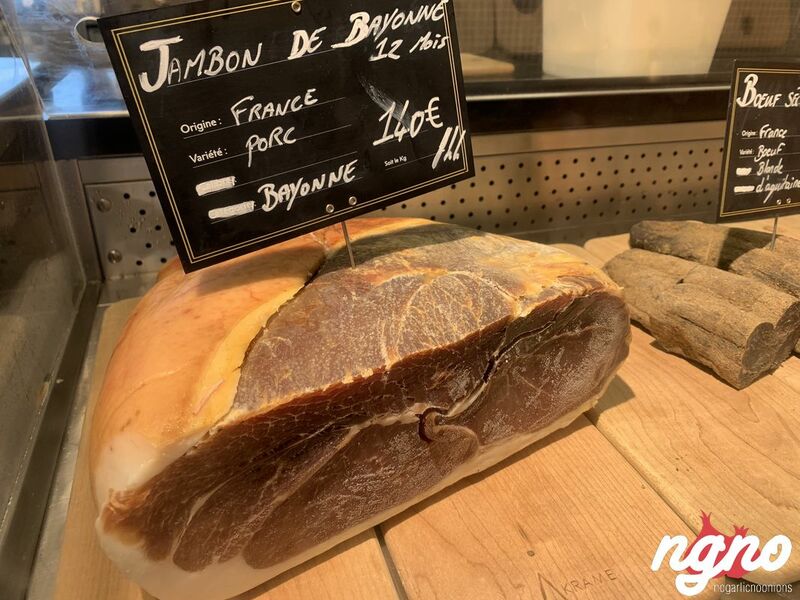 I enjoyed the cheese, the bread, the aromas of truffle and quality of ham. 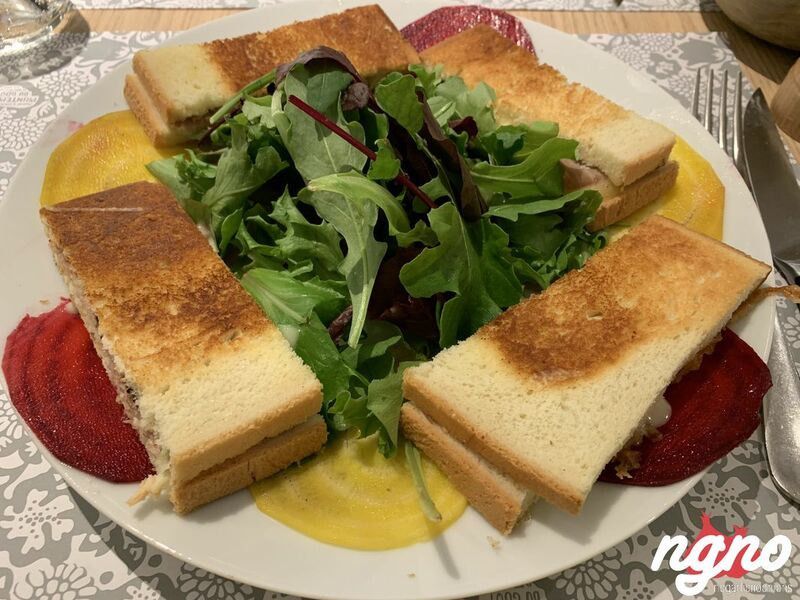 This sandwich is too simple for a lunch meal; i would have done it thicker and more complicated to be fulfilling and enjoyable. 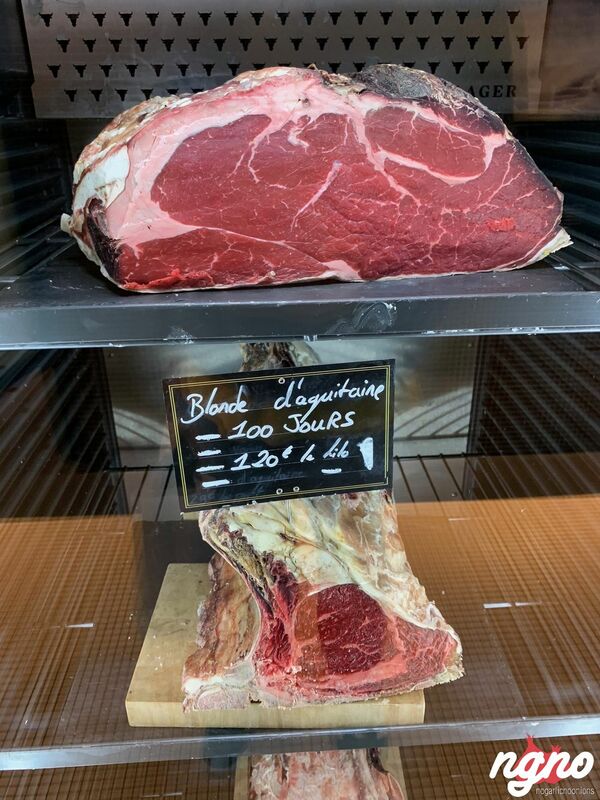 I spent an hour with my wife but next time I’ll have meat at the neighbors. 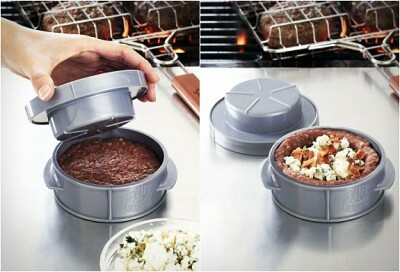 Stuff-A-Burger Press: The Name Sounds Yummy!